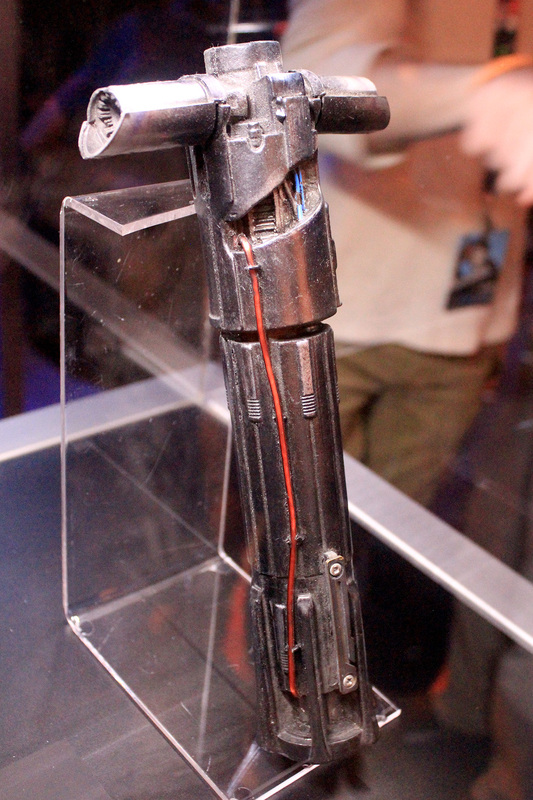 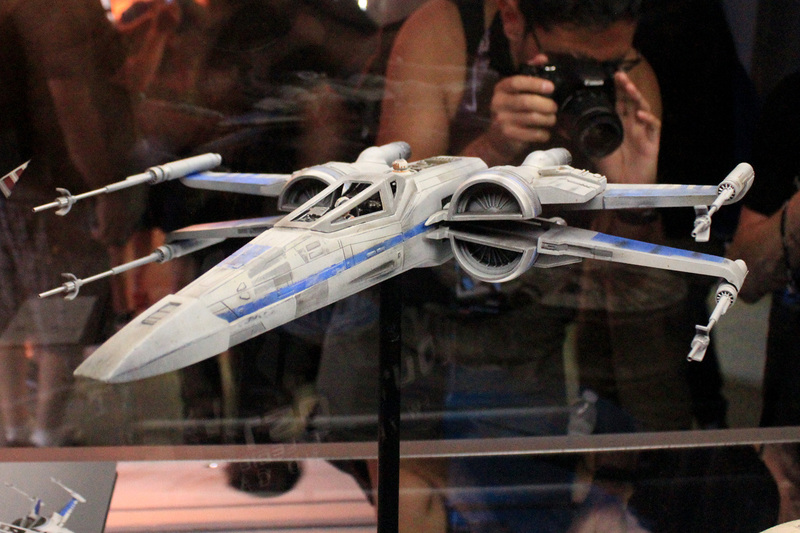 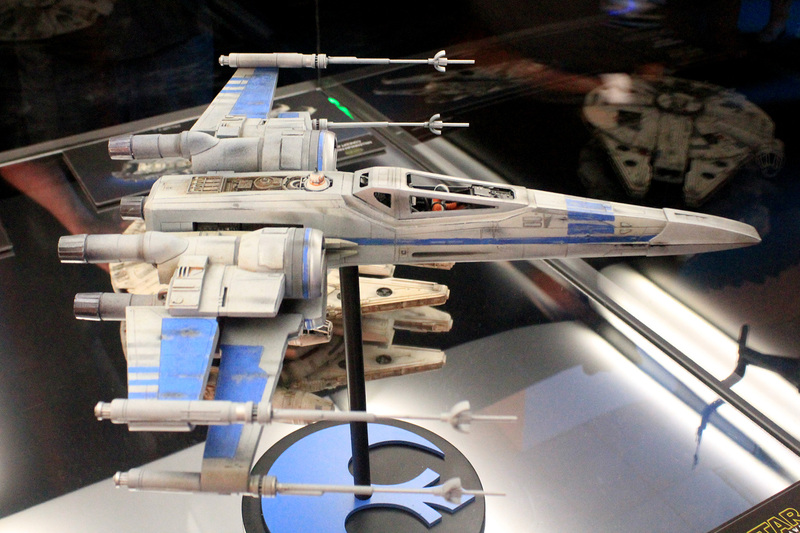 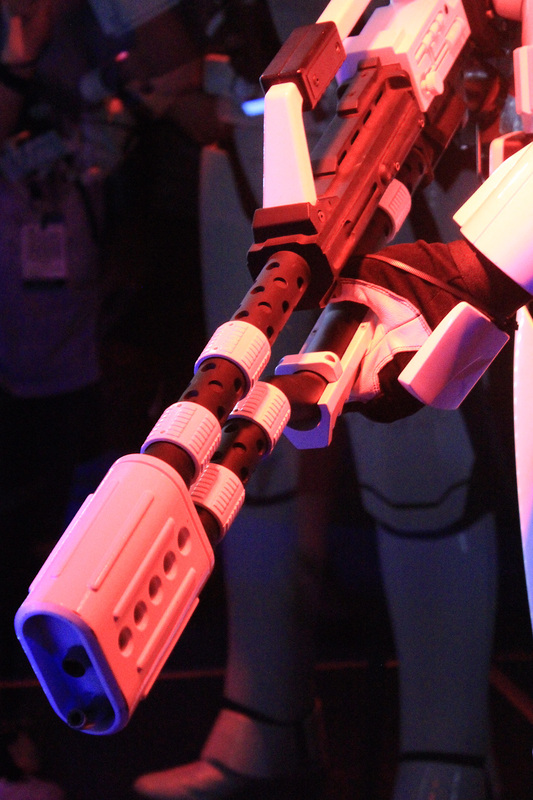 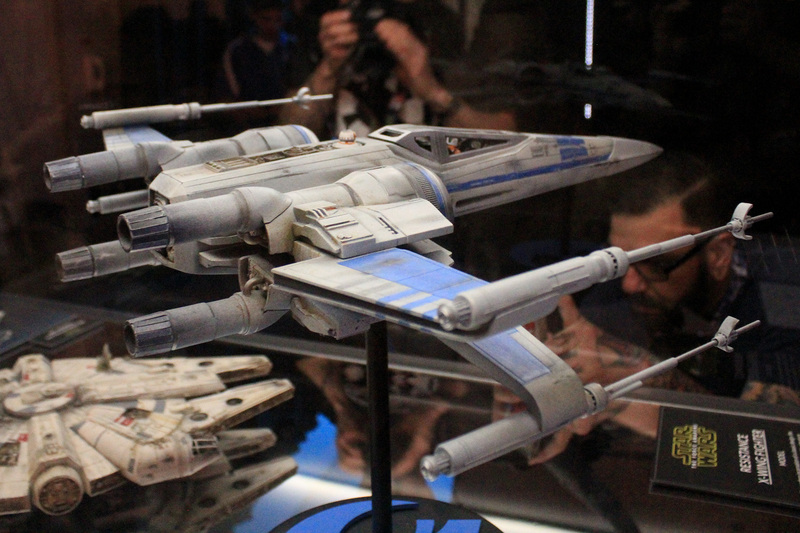 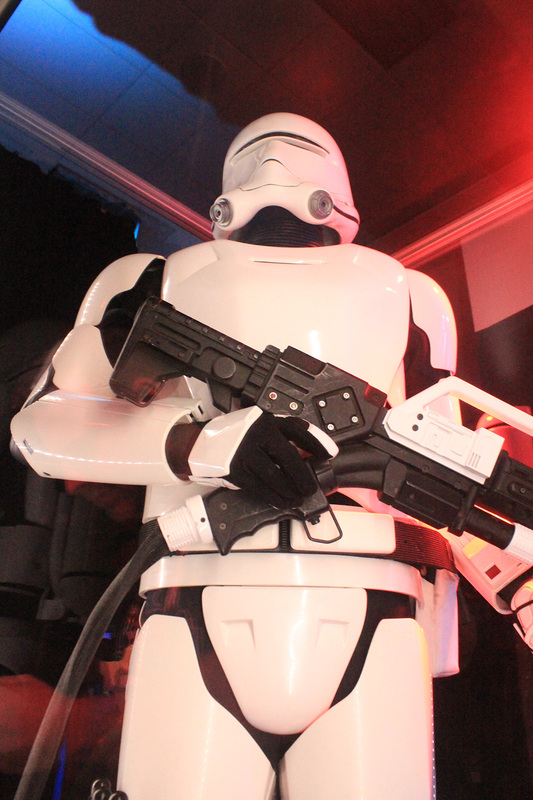 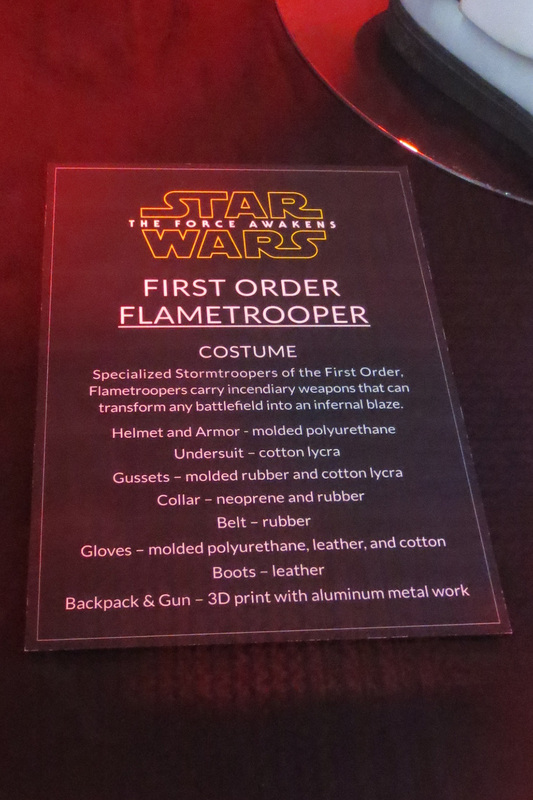 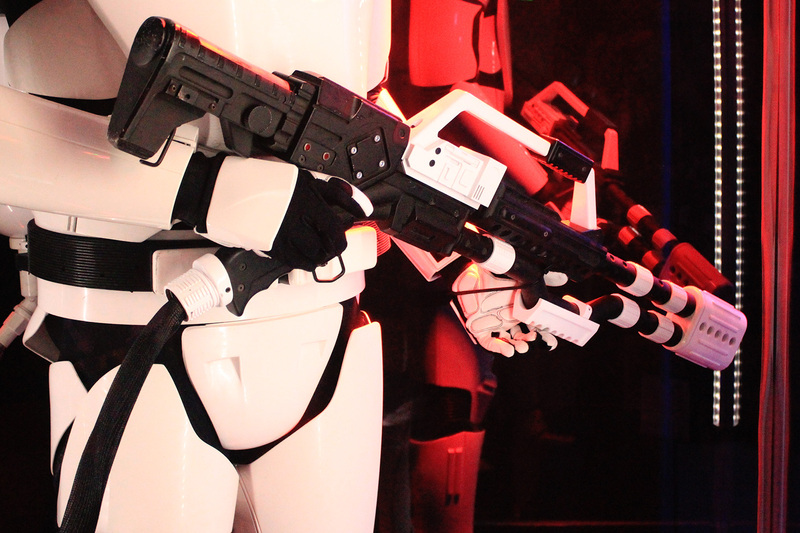 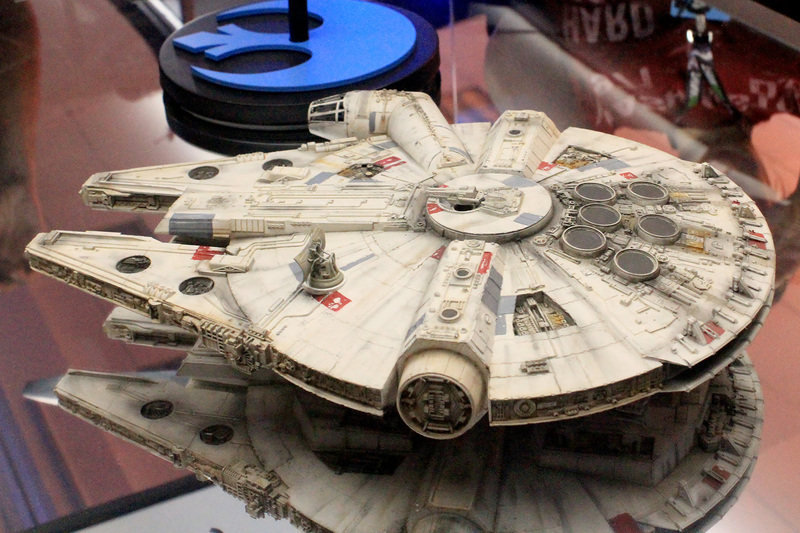 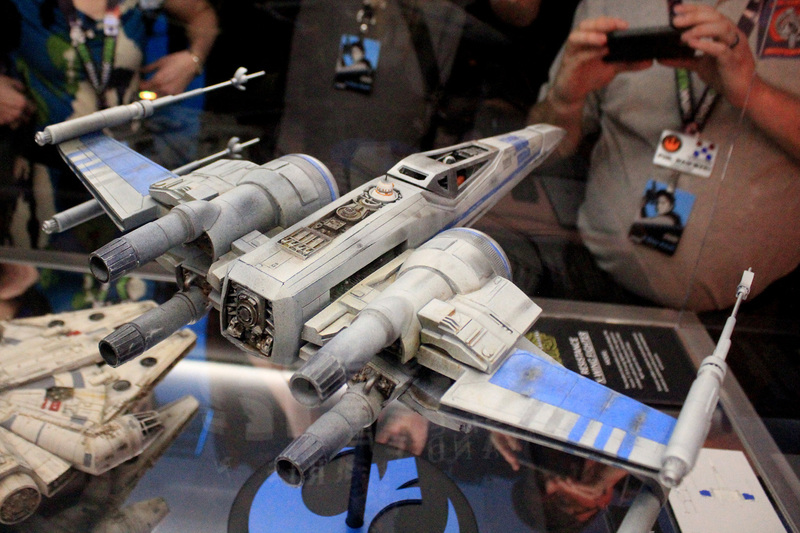 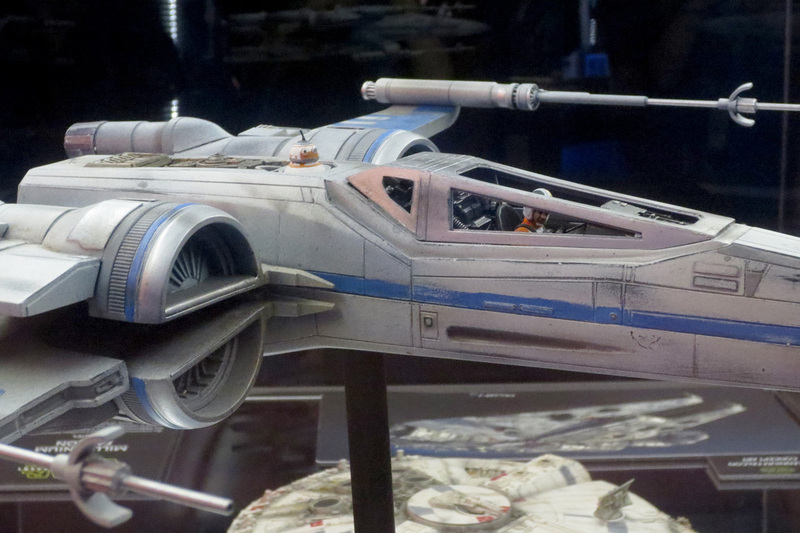 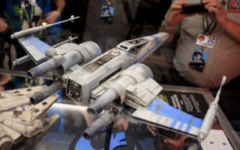 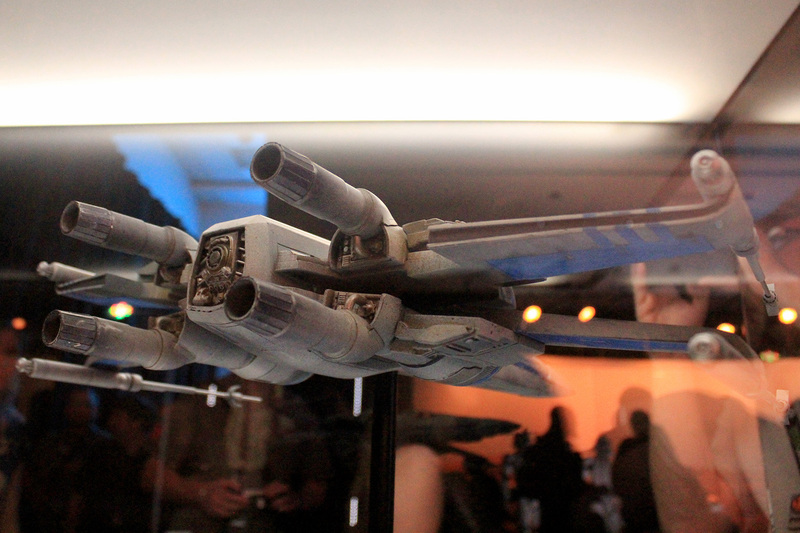 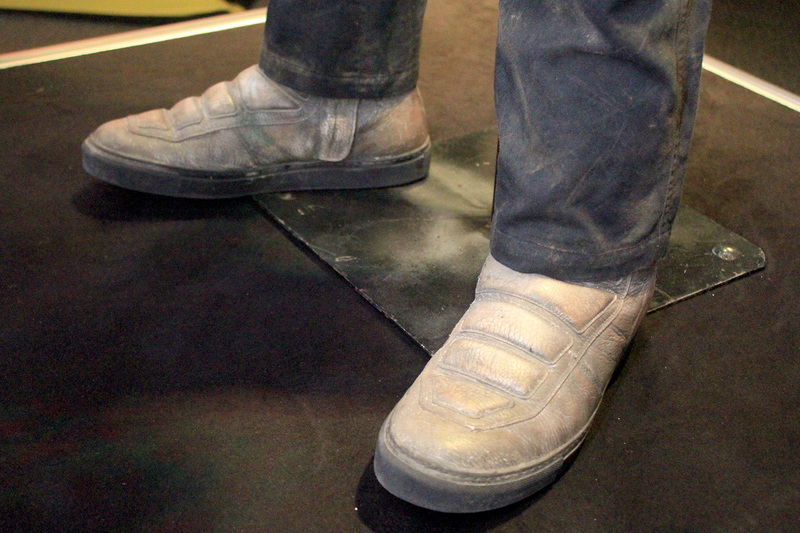 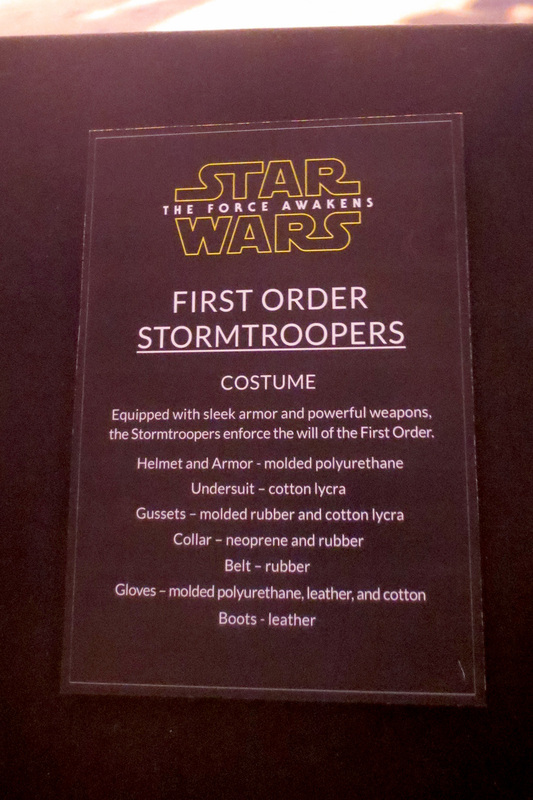 One of the most popular ongoing exhibits at the Star Wars Celebration Anaheim convention this week has been a collection of costumes and props from the upcoming Star Wars film, Episode 7 aka The Force Awakens. 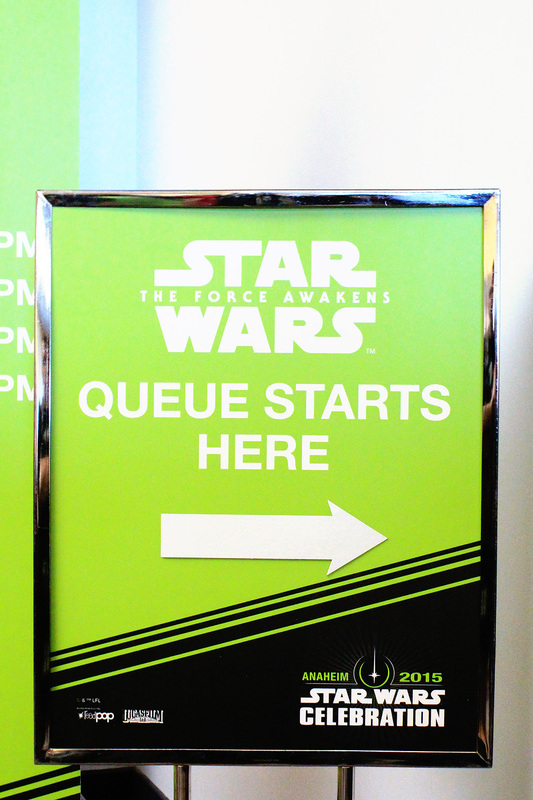 Entry lines to get in to the room sometimes exceeded 90-120 minutes. 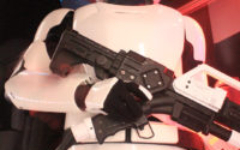 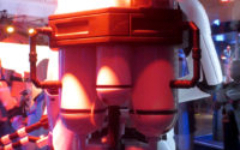 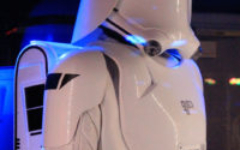 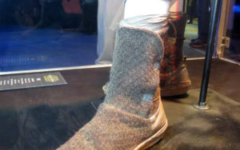 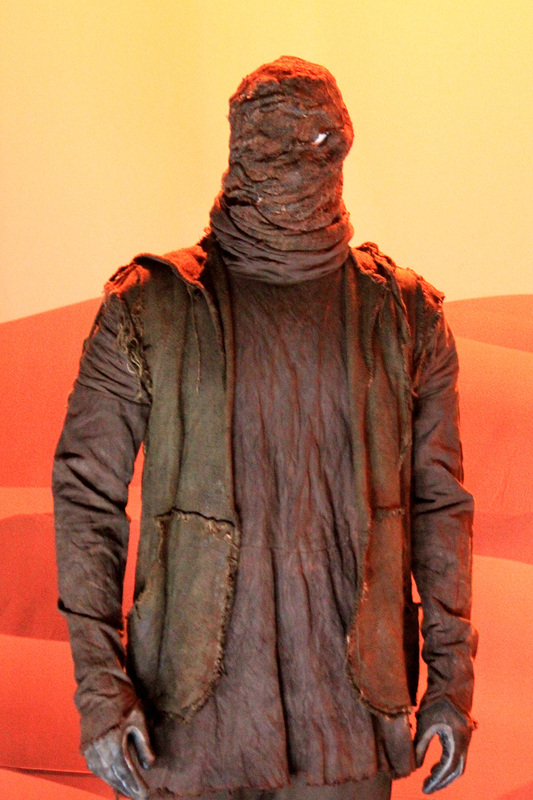 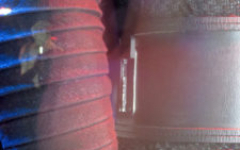 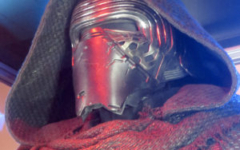 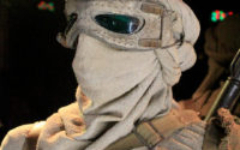 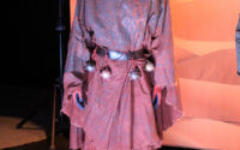 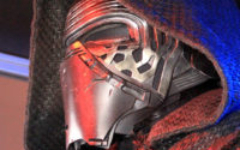 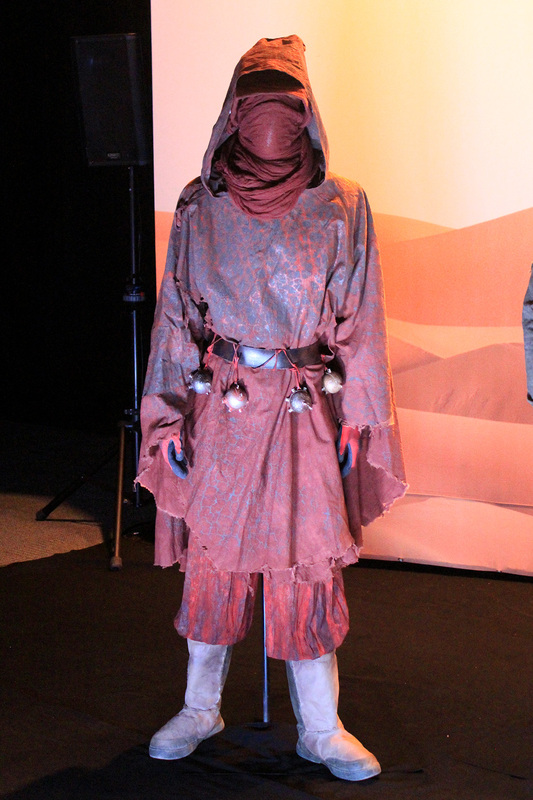 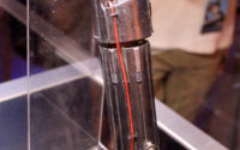 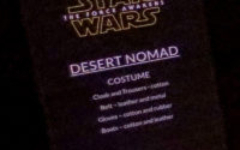 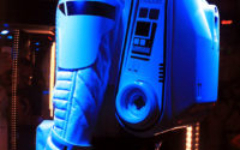 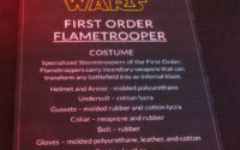 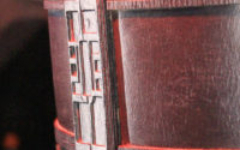 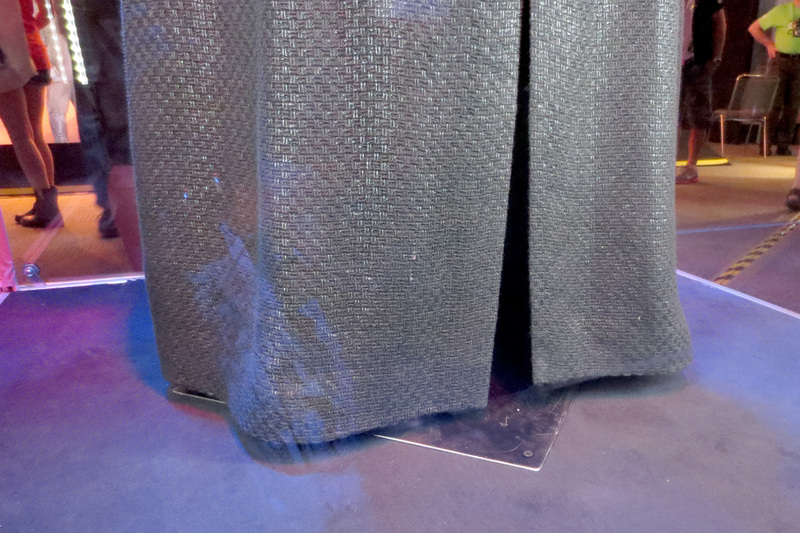 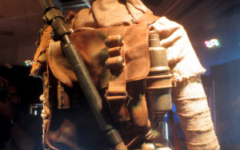 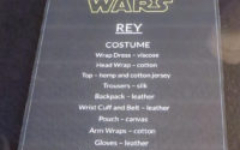 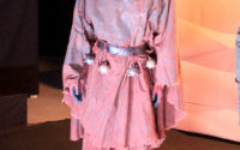 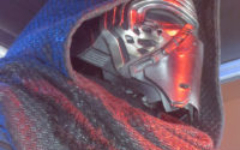 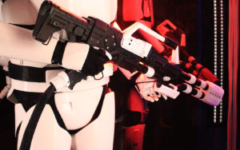 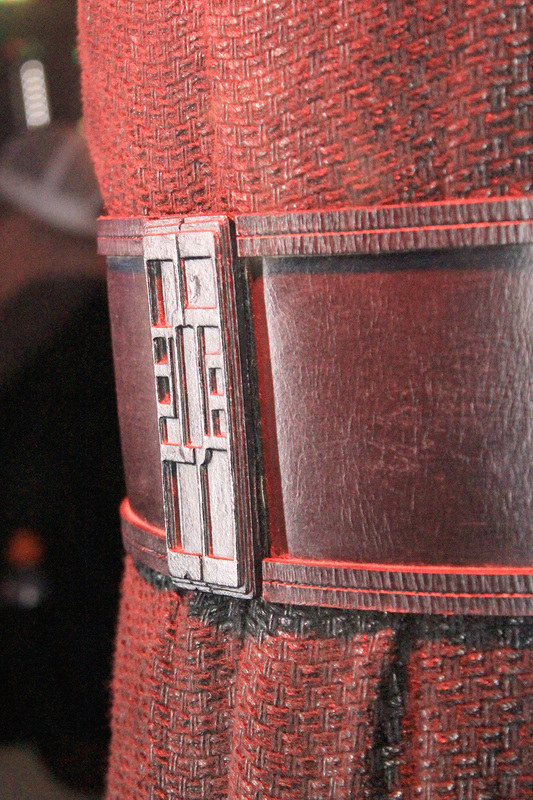 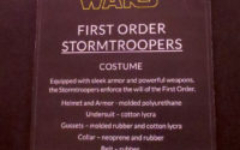 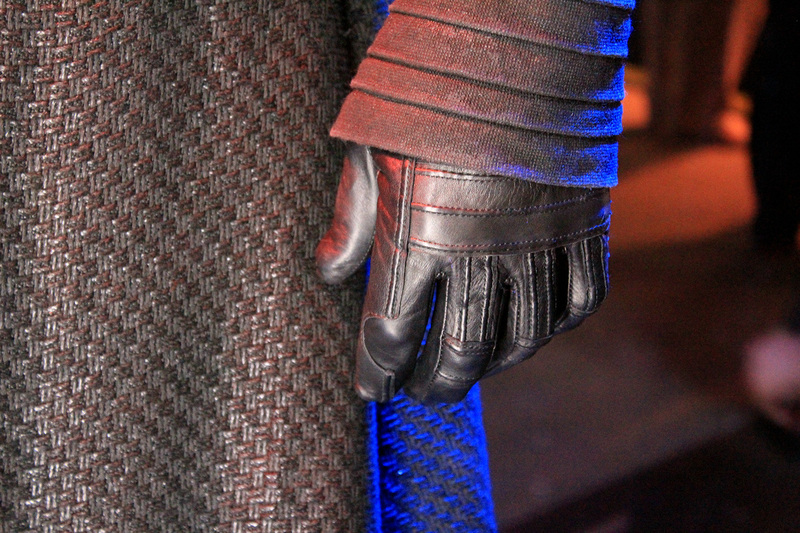 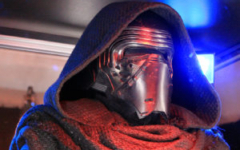 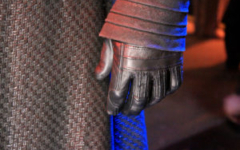 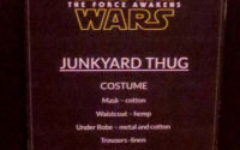 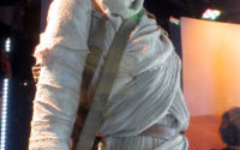 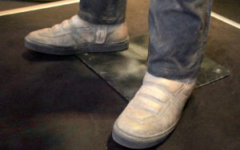 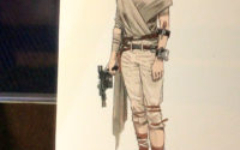 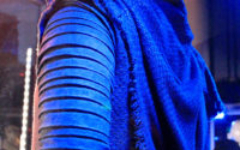 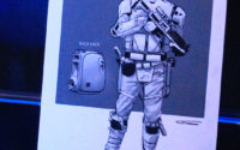 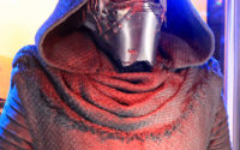 It includes some characters and costume/appearance details not previously revealed, so ties in to further escalate the hype and excitement kindled by the release of the second Episode 7 trailer also revealed at the Celebration convention. 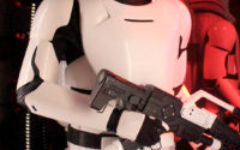 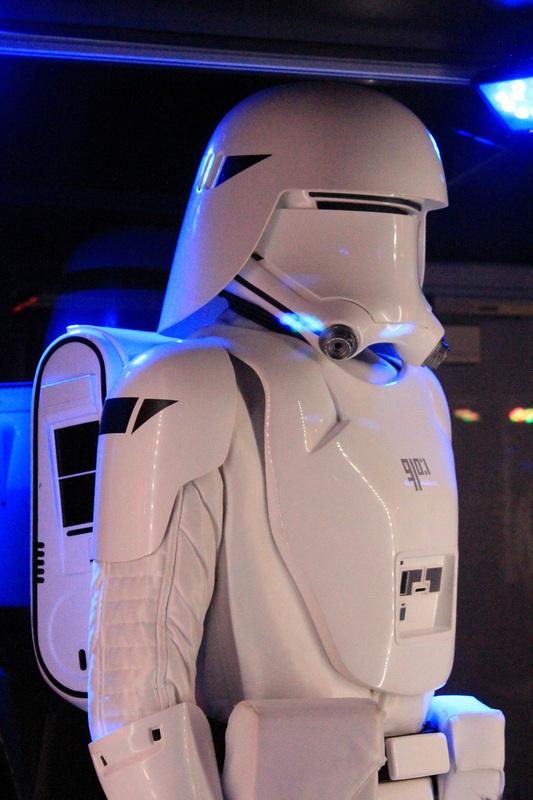 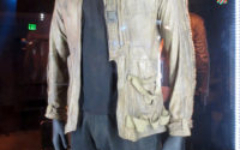 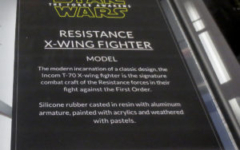 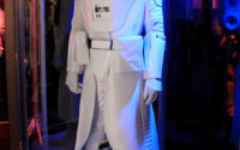 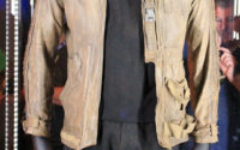 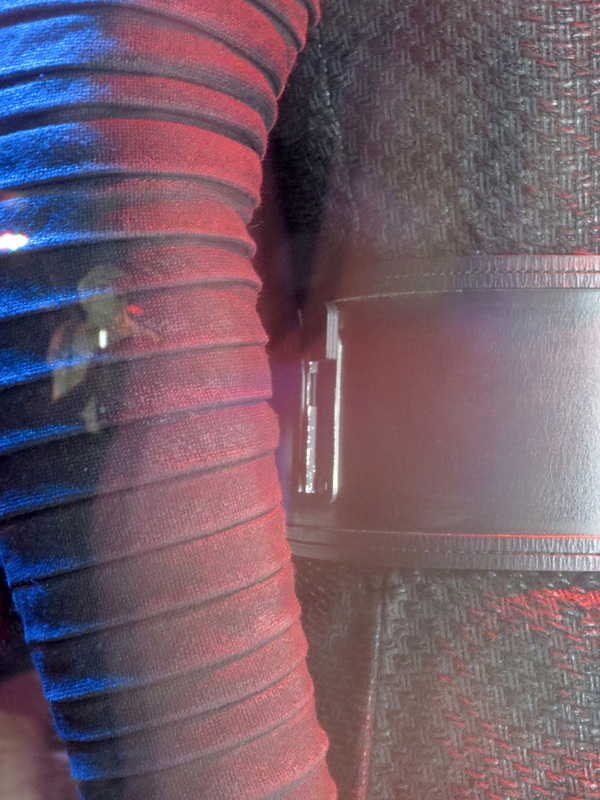 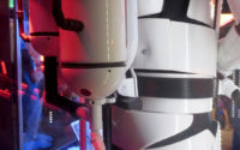 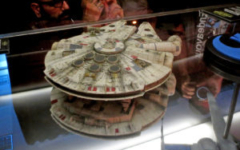 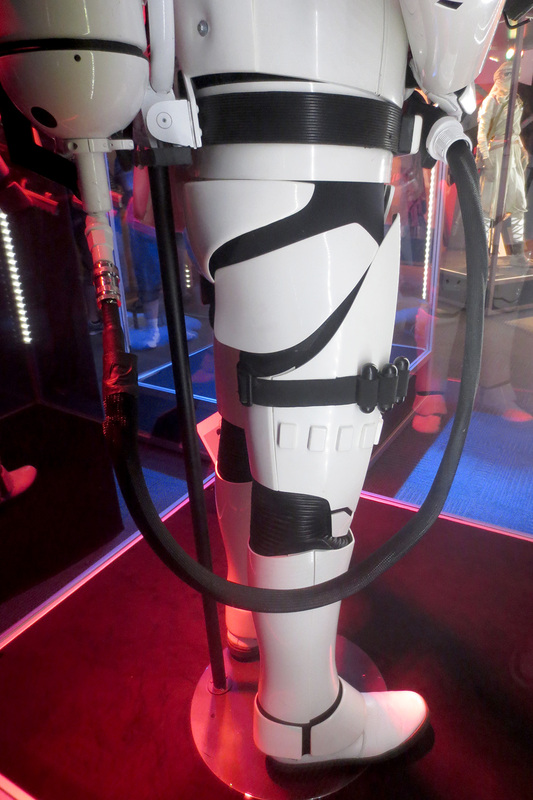 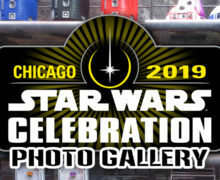 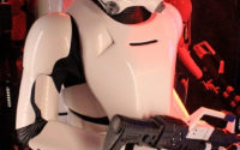 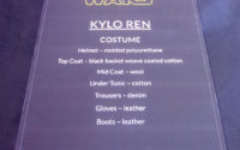 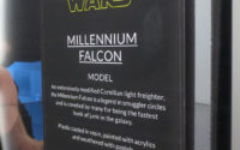 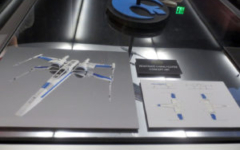 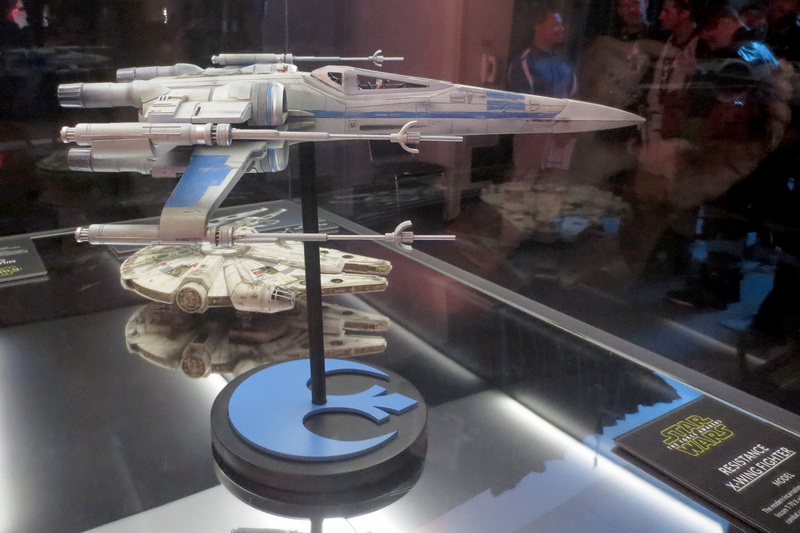 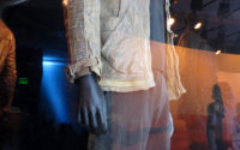 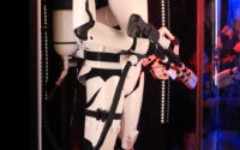 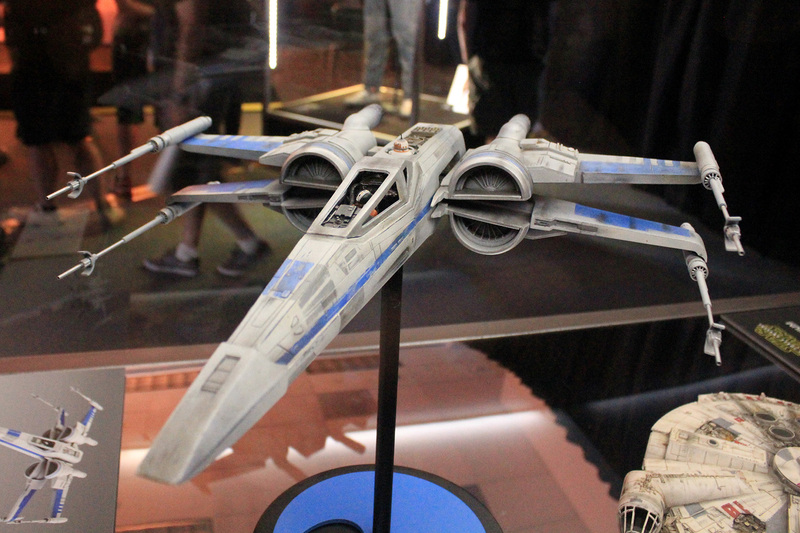 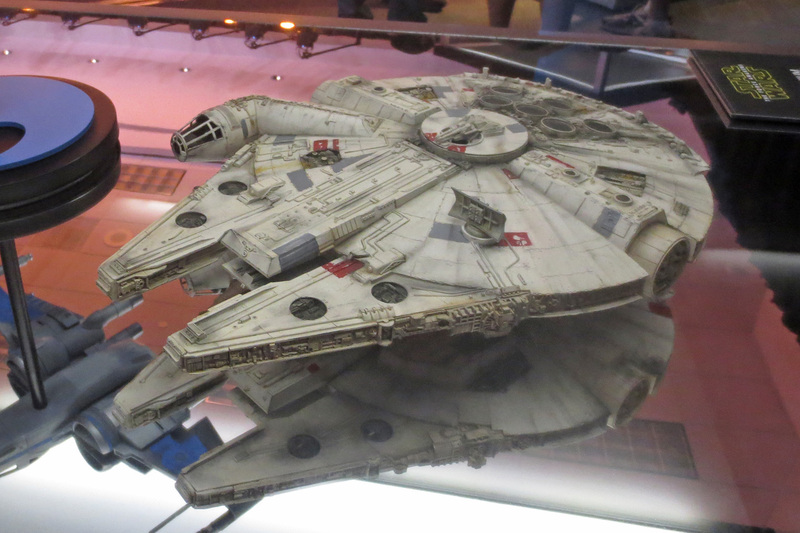 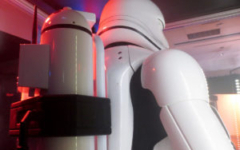 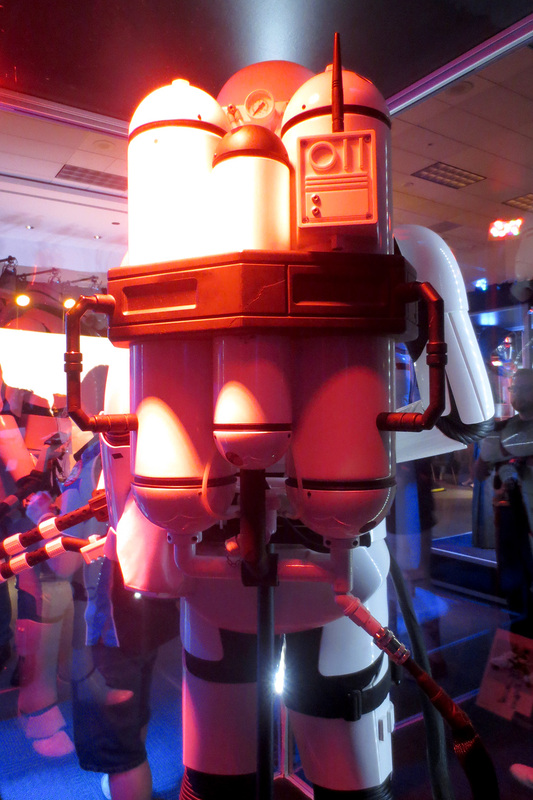 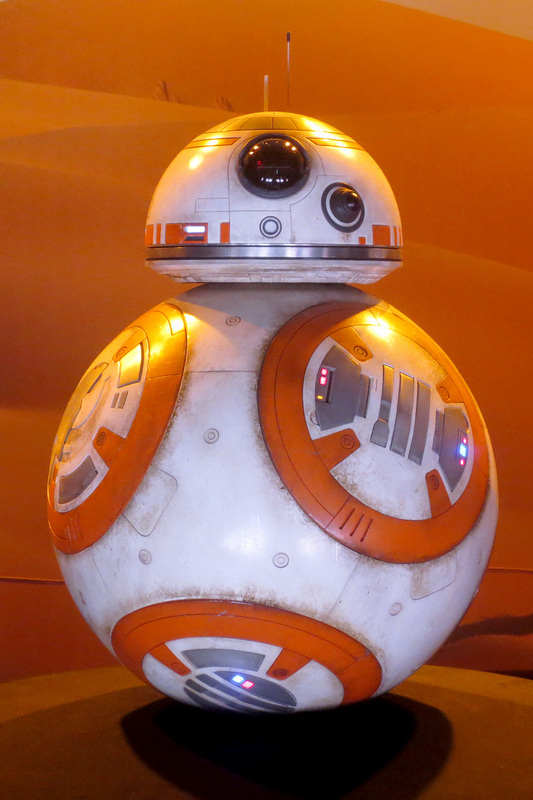 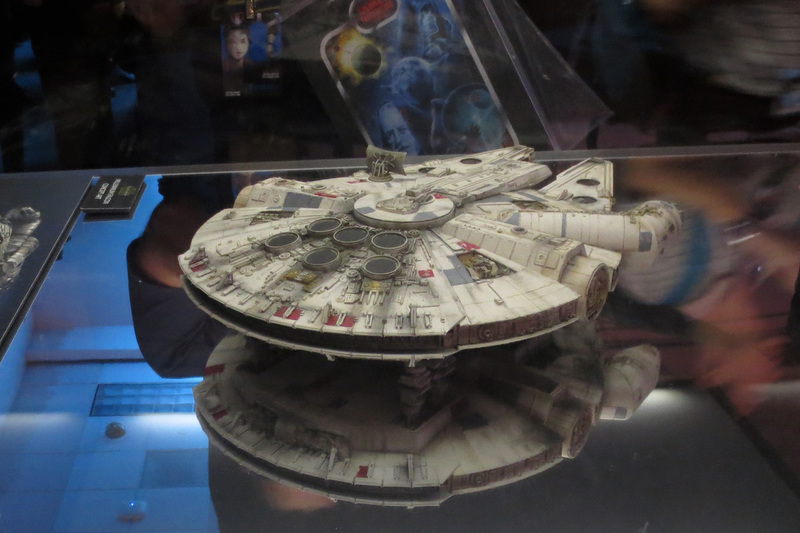 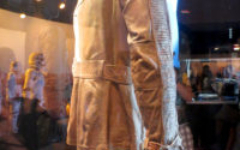 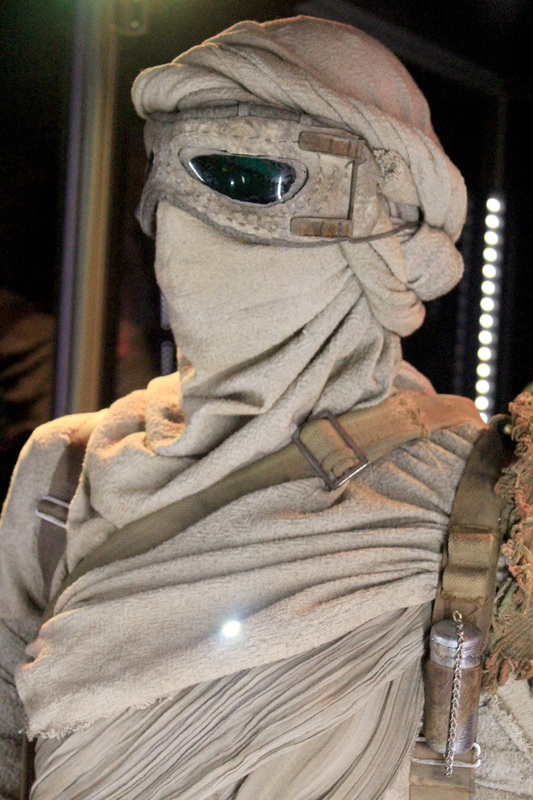 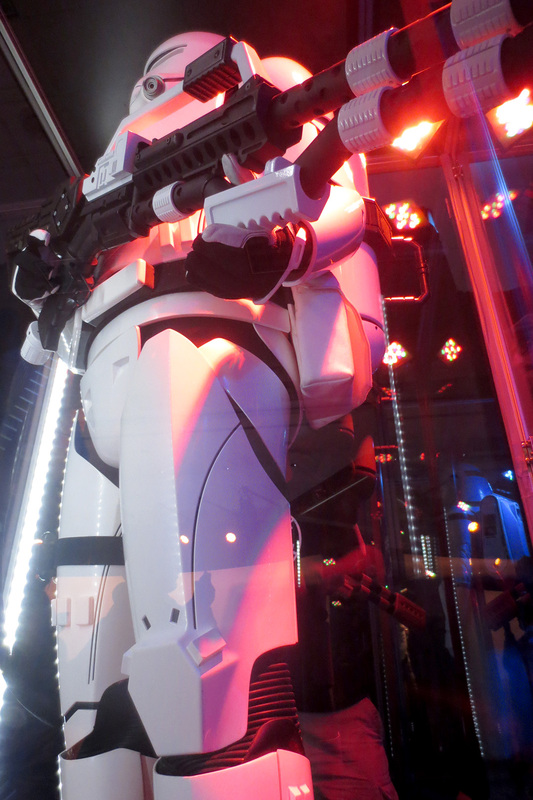 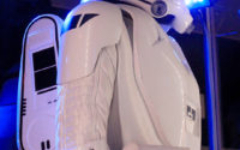 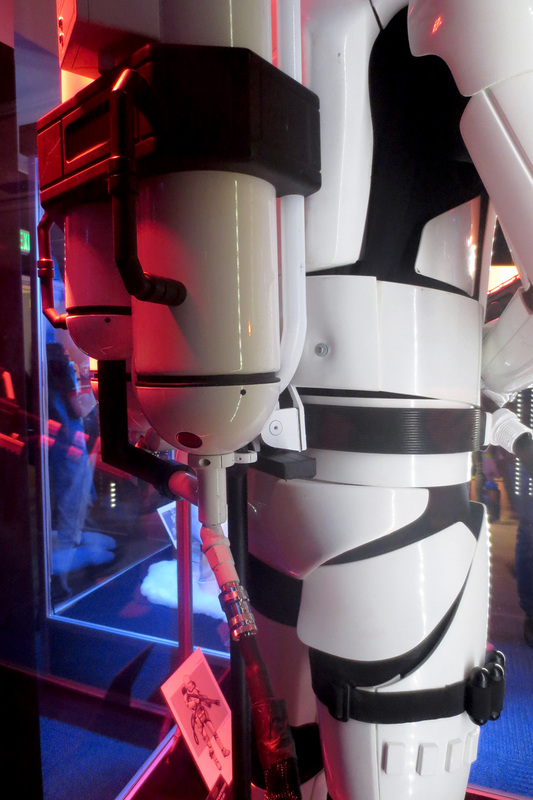 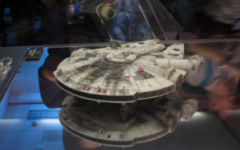 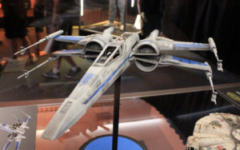 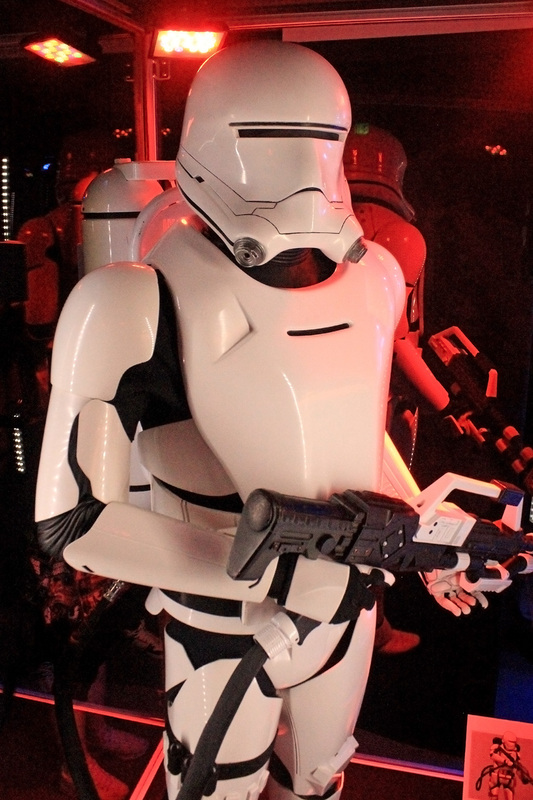 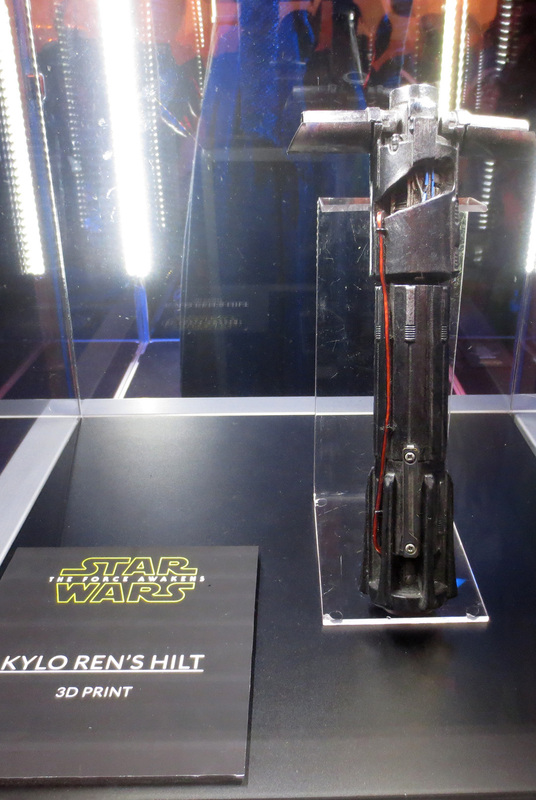 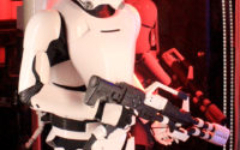 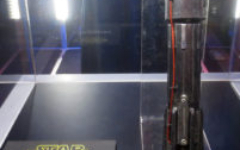 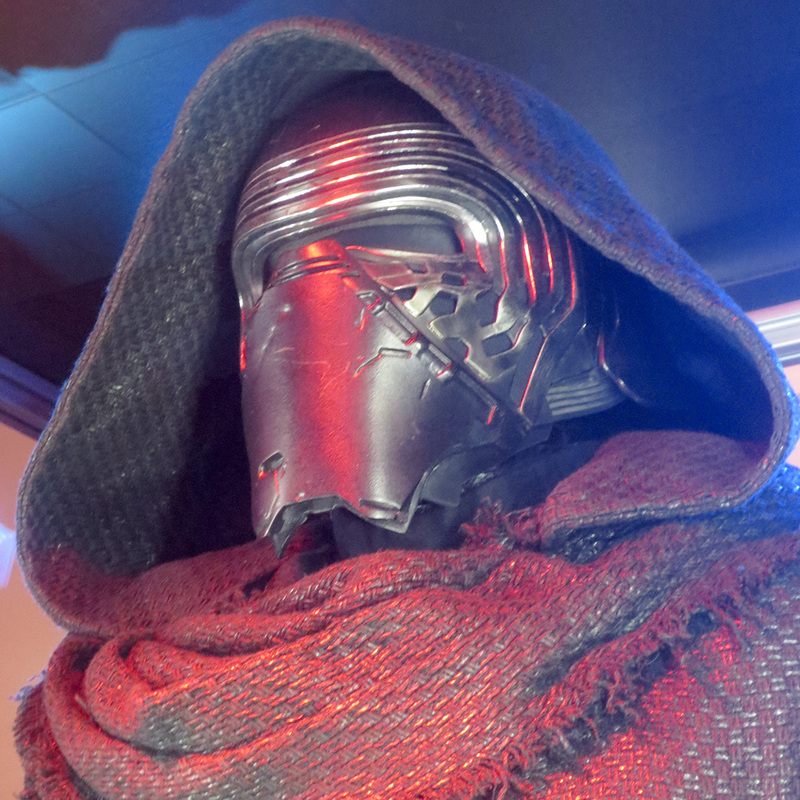 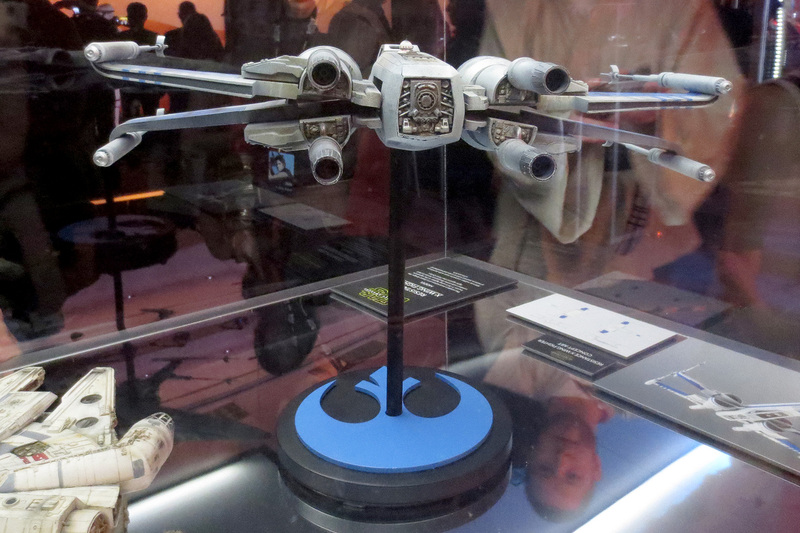 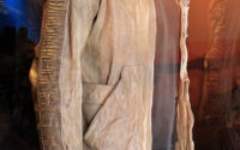 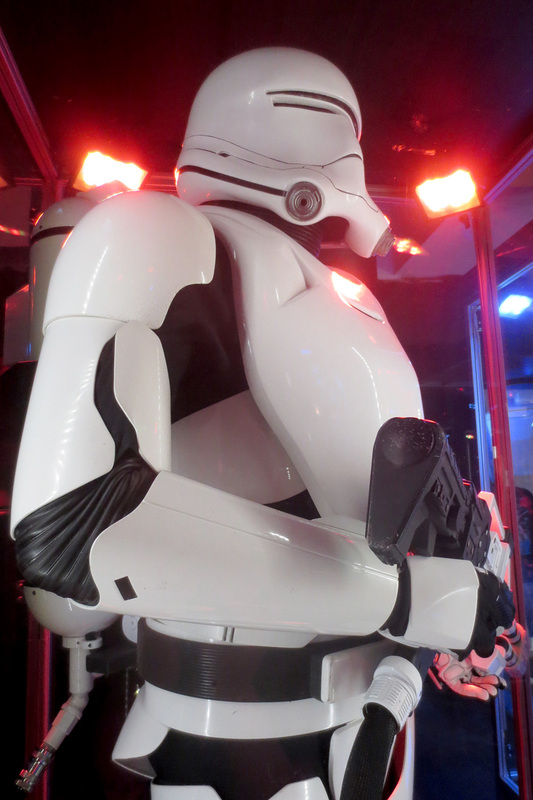 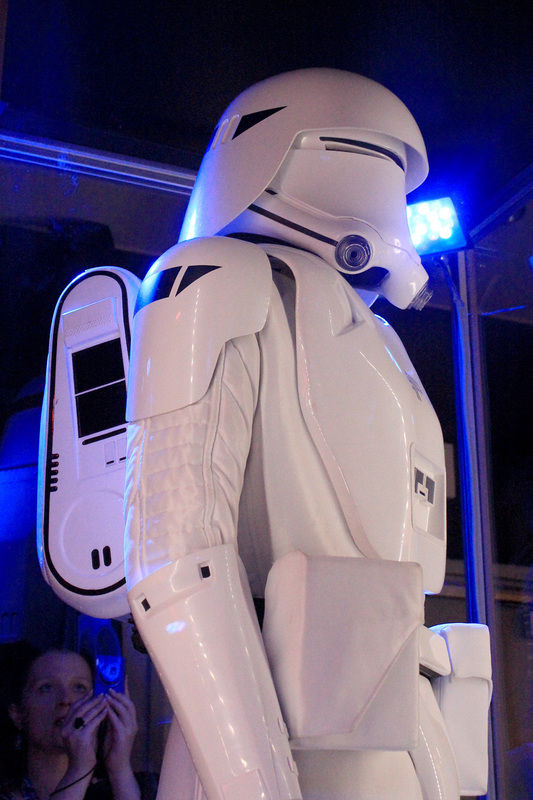 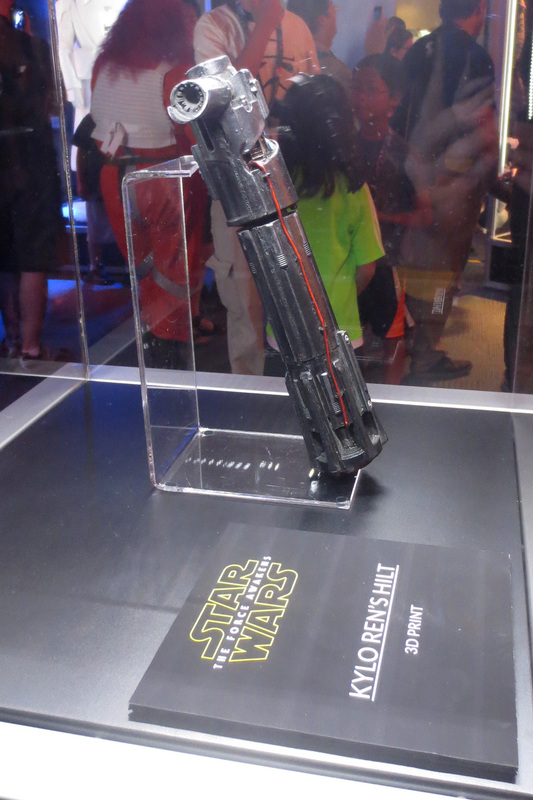 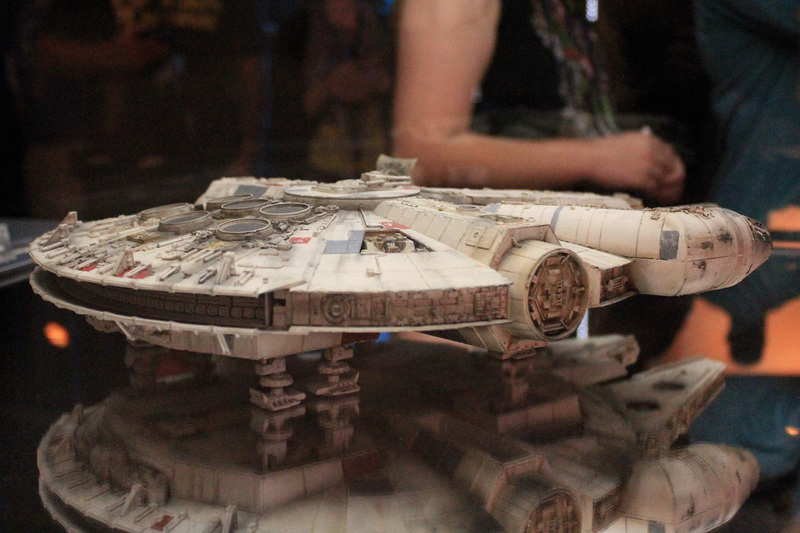 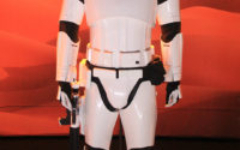 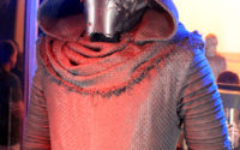 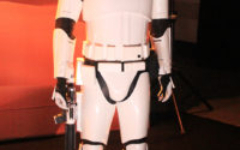 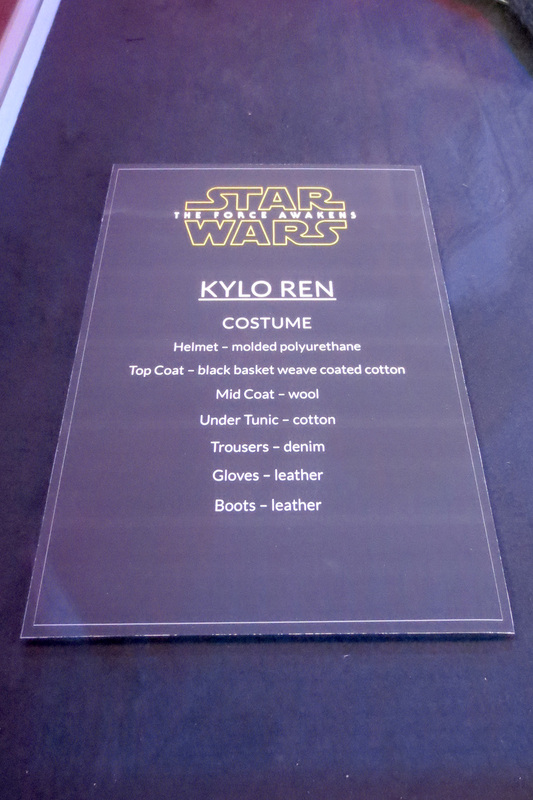 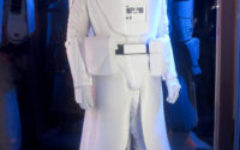 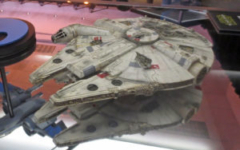 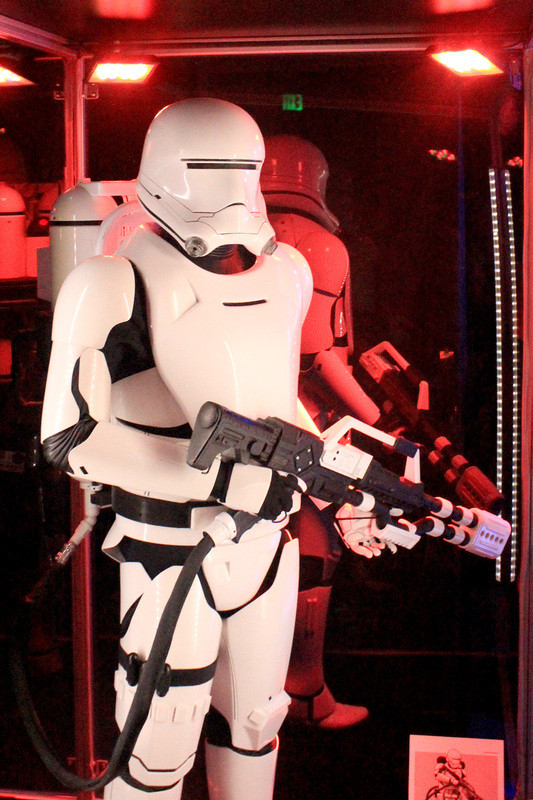 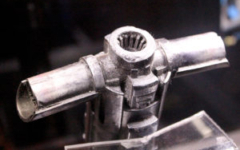 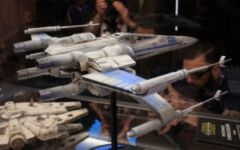 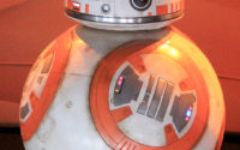 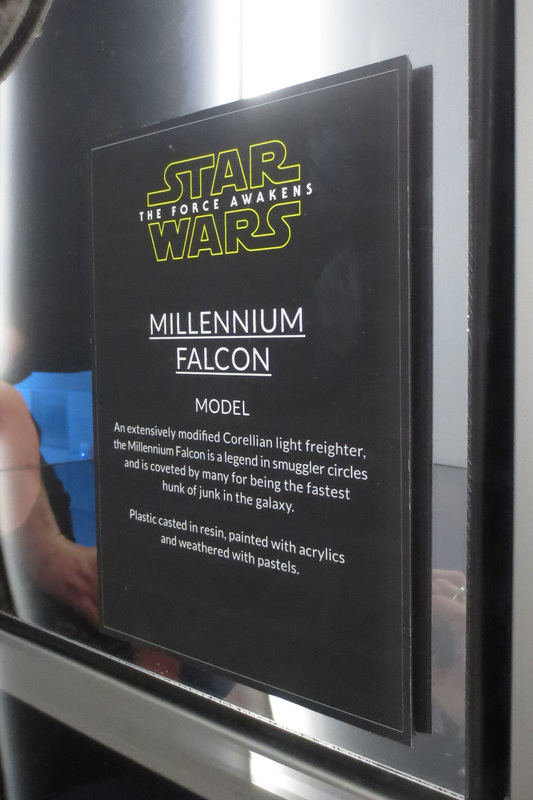 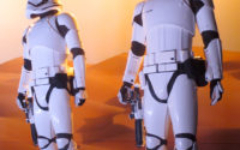 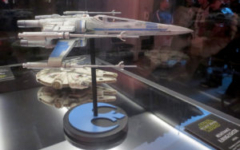 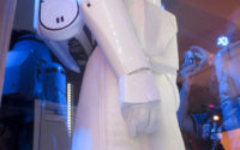 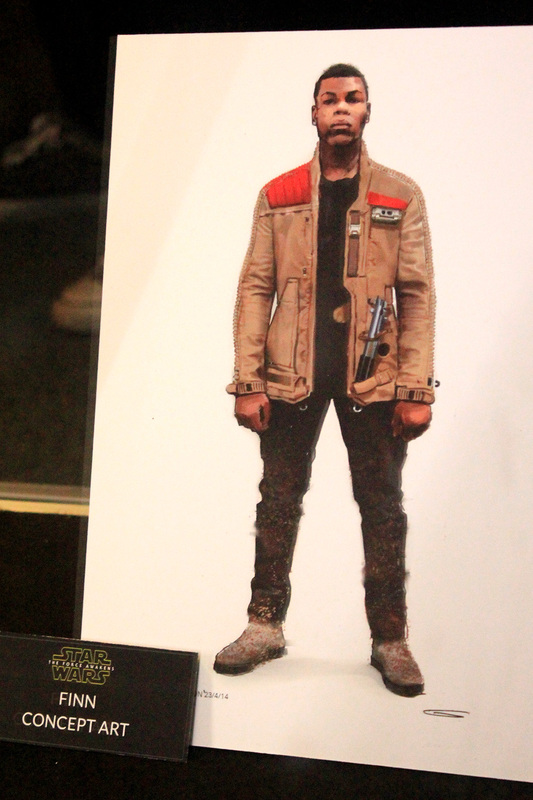 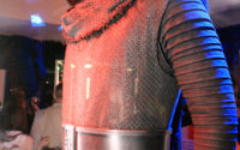 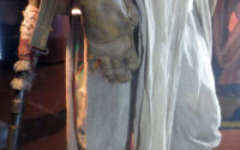 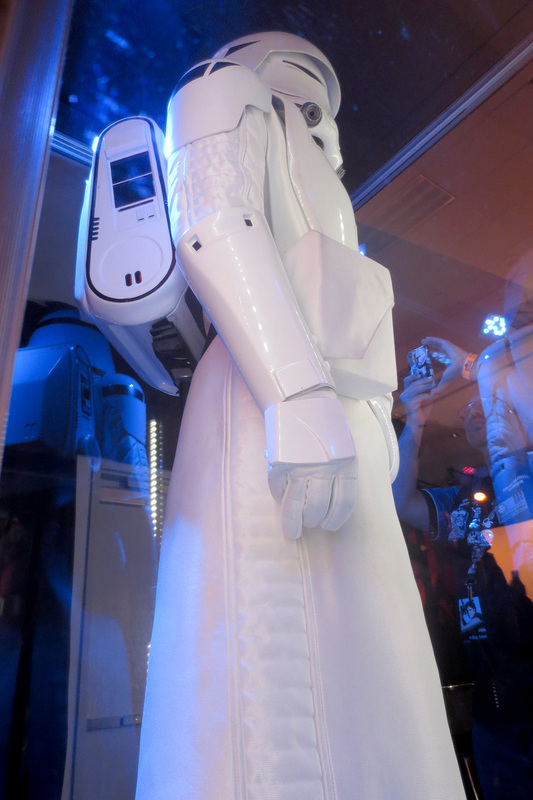 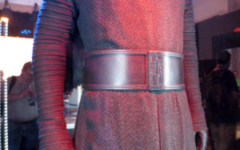 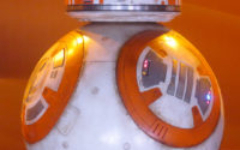 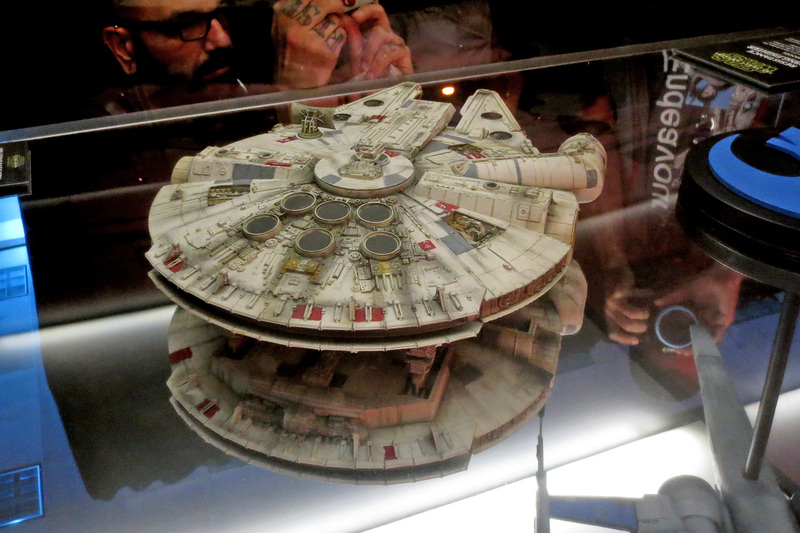 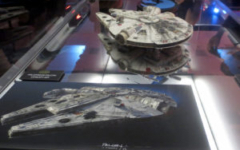 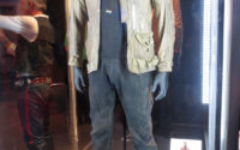 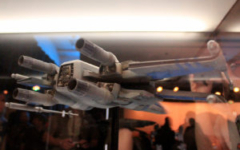 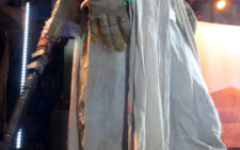 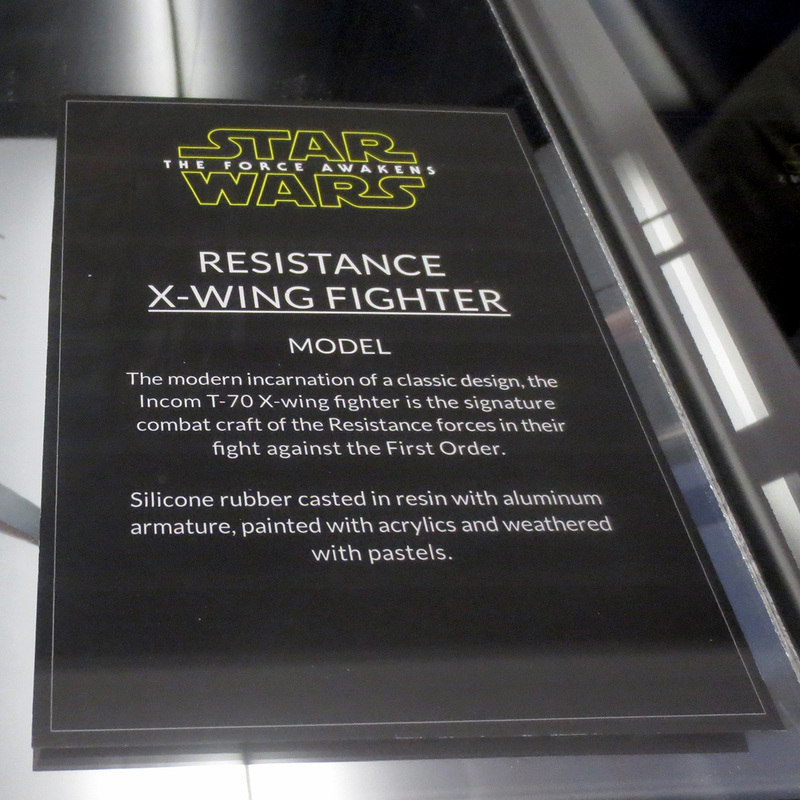 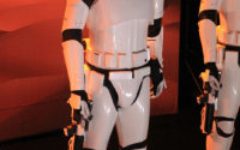 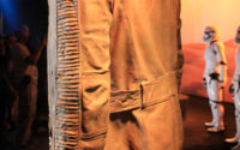 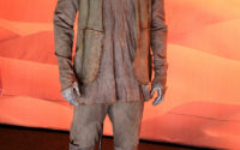 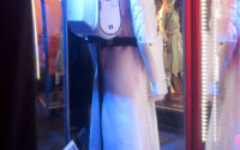 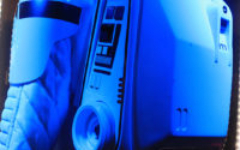 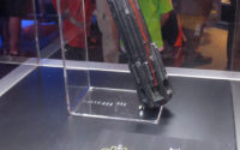 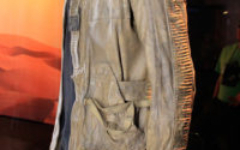 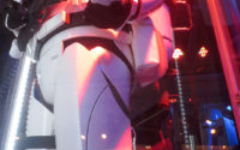 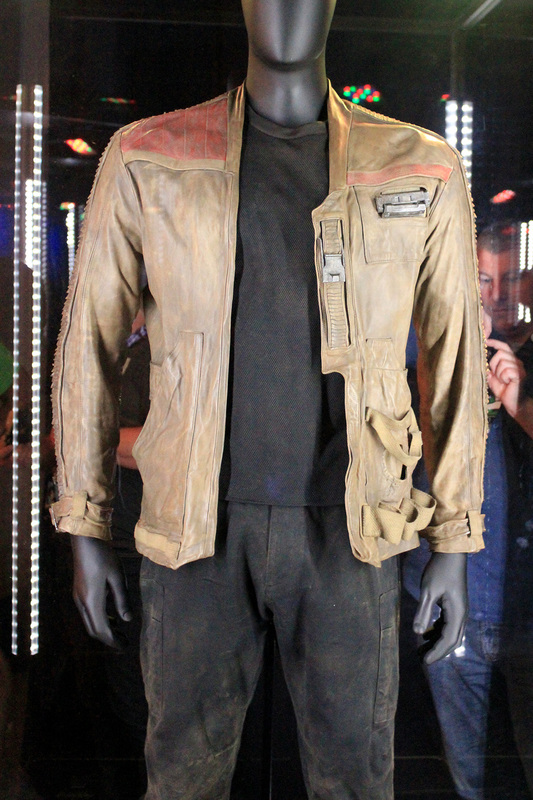 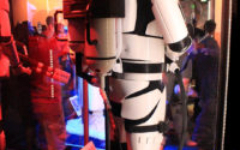 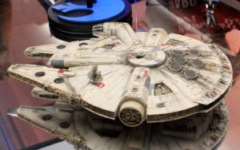 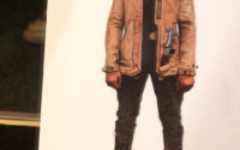 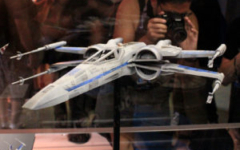 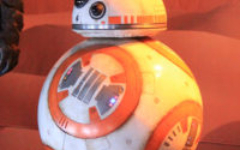 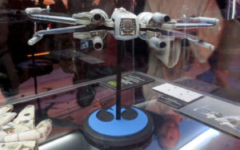 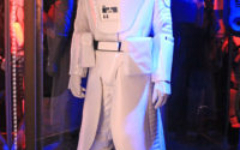 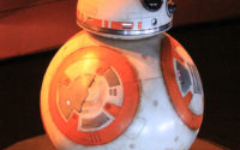 On display this week were scale models of the new X-wing “resistance fighter”, an Episode 7 Millennium Falcon, the actual full-scale animatronic BB-8 model, clothing (jacket) belonging to/used by Finn, and life-sized costumed mannequins of Kylo Ren (as well as, in a sepaeate case, Ren’s unique lightsaber), Rey, a “Desert Nomad” and a “Junkyard Thug”, and 3 versions of the new troopers – standard stormtrooper (x2), “flametrooper”, and a heavily Ralph McQuarrie-inspired snowtrooper. 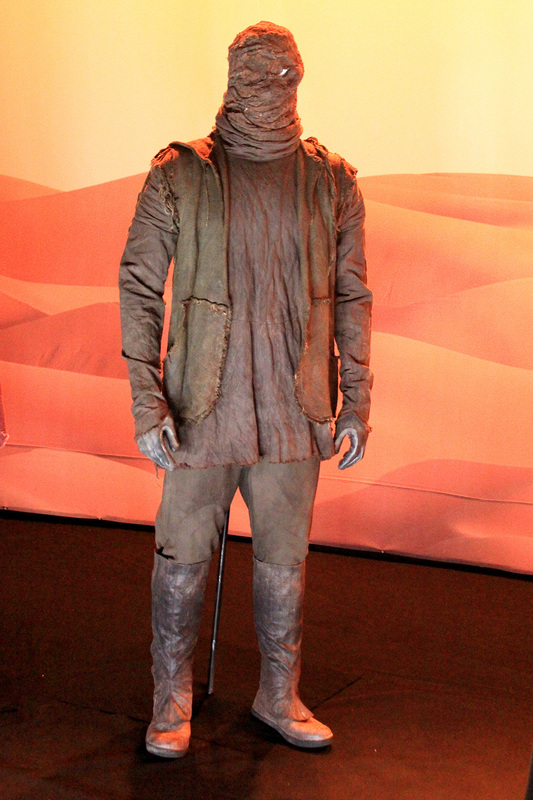 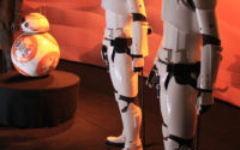 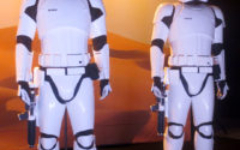 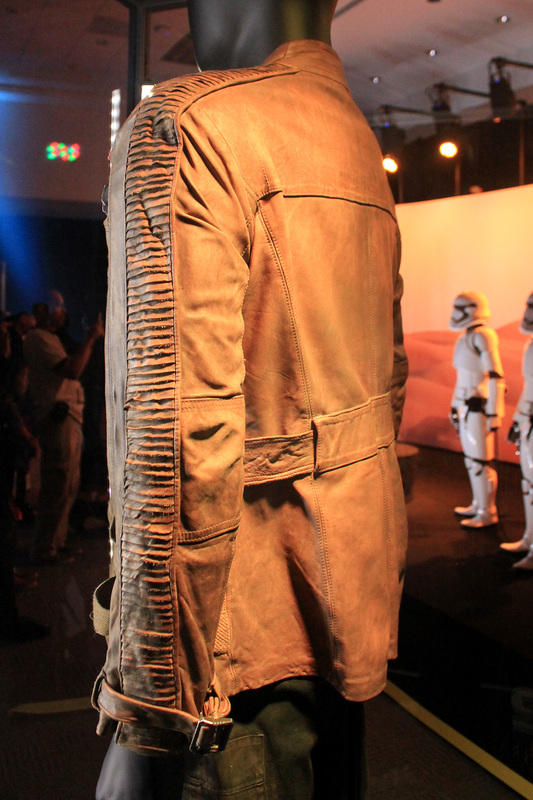 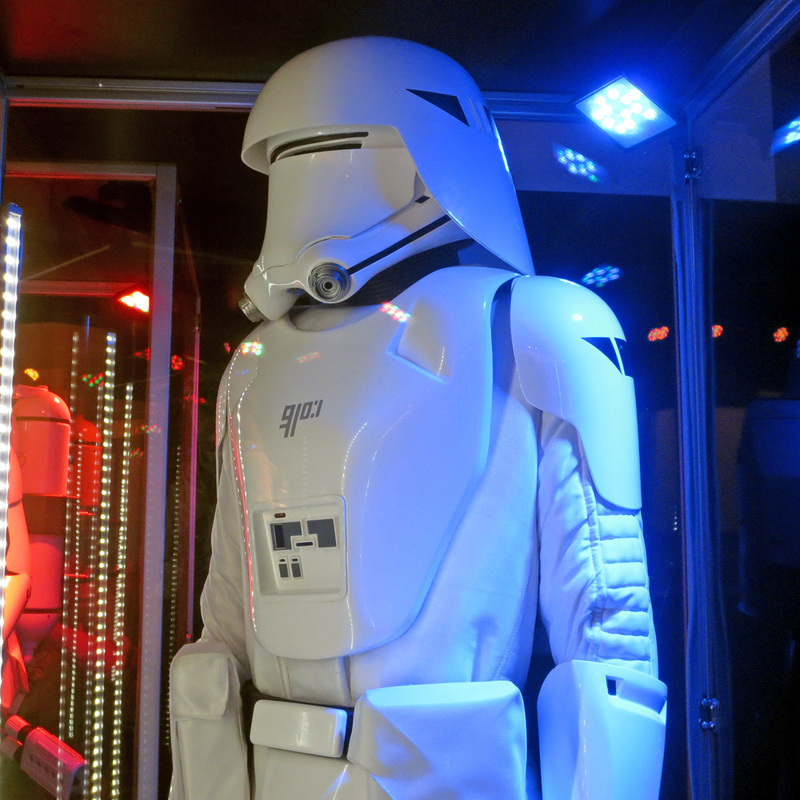 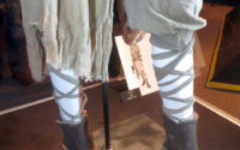 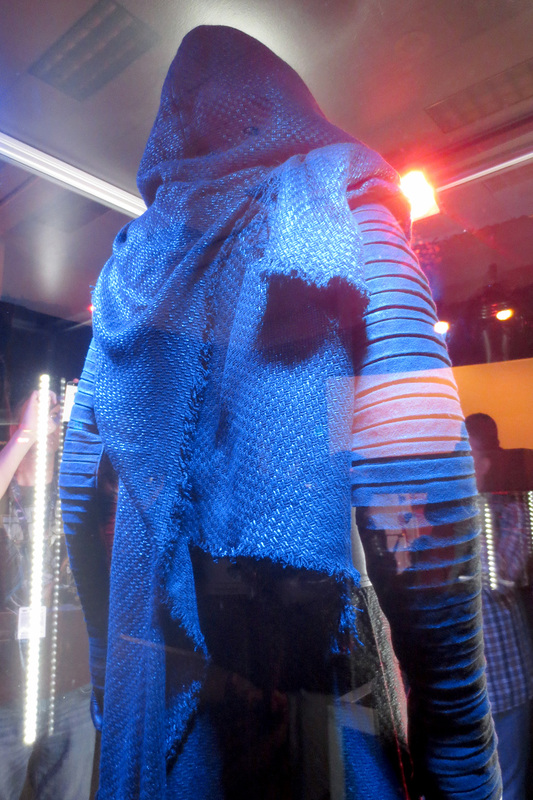 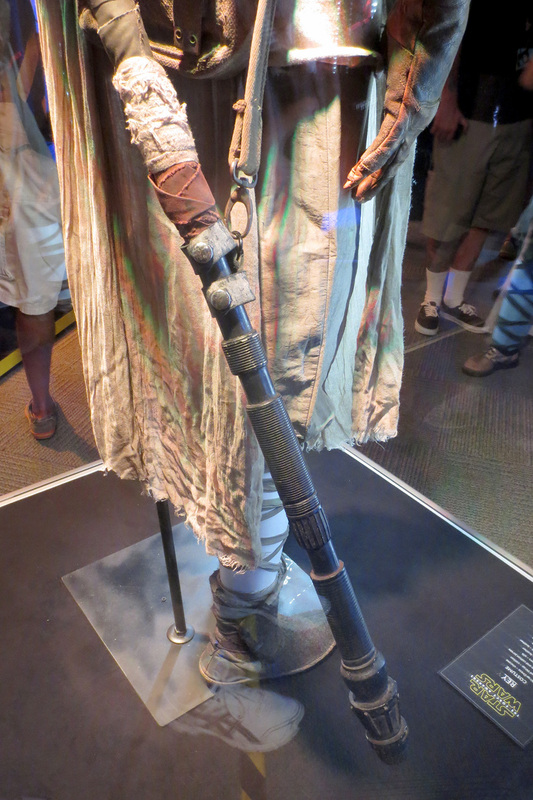 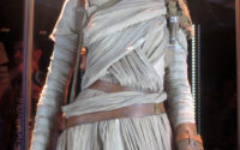 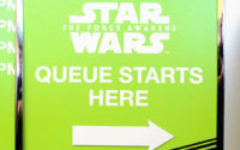 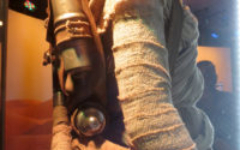 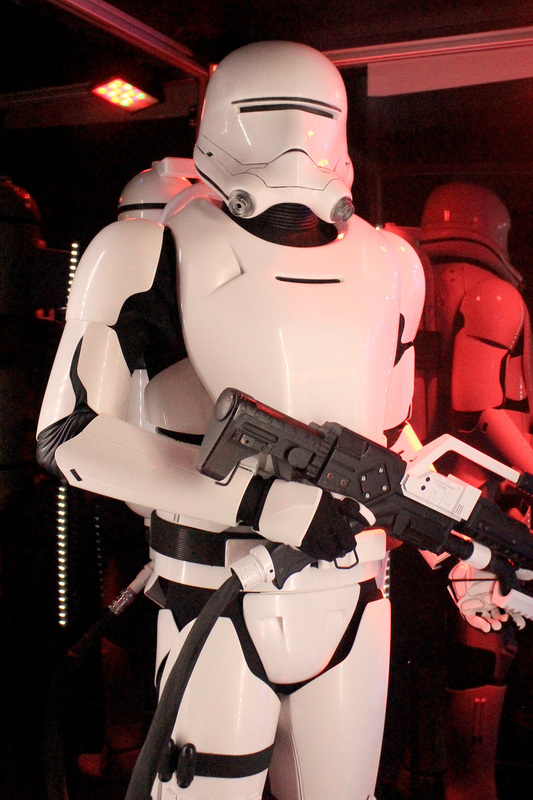 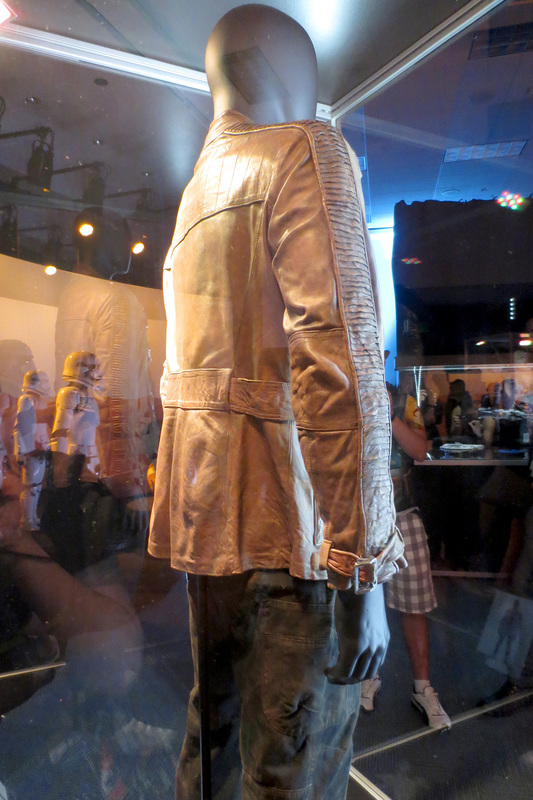 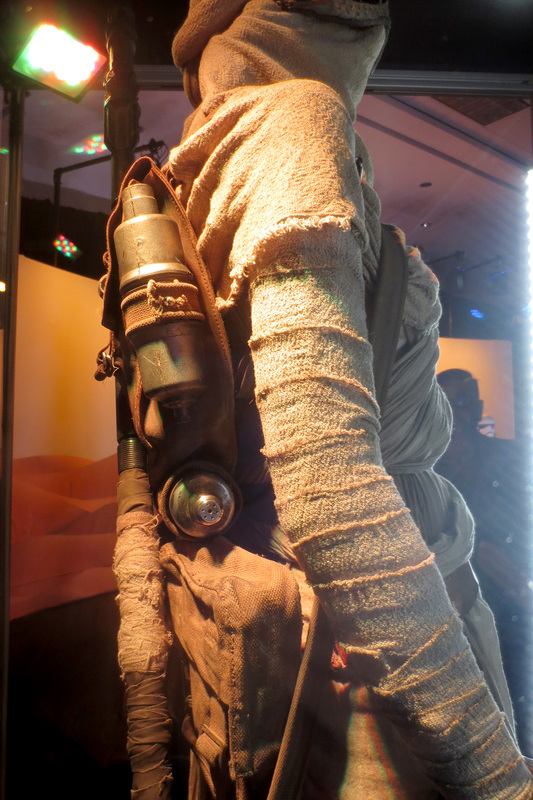 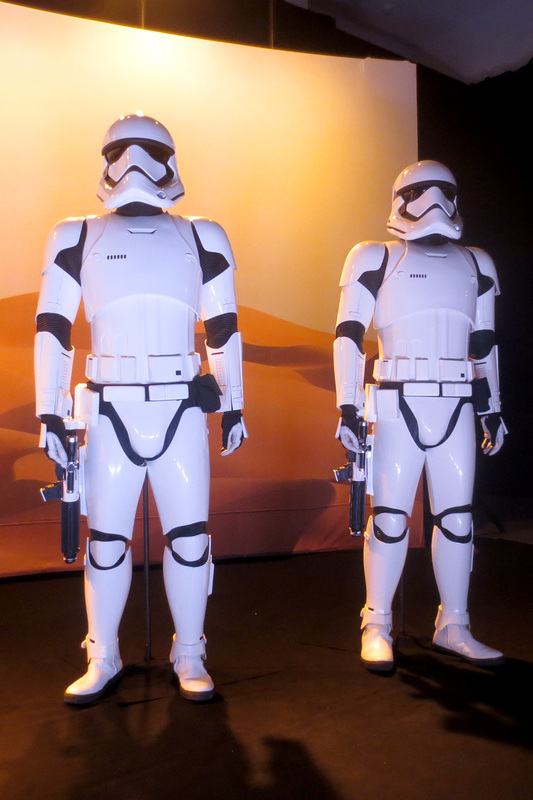 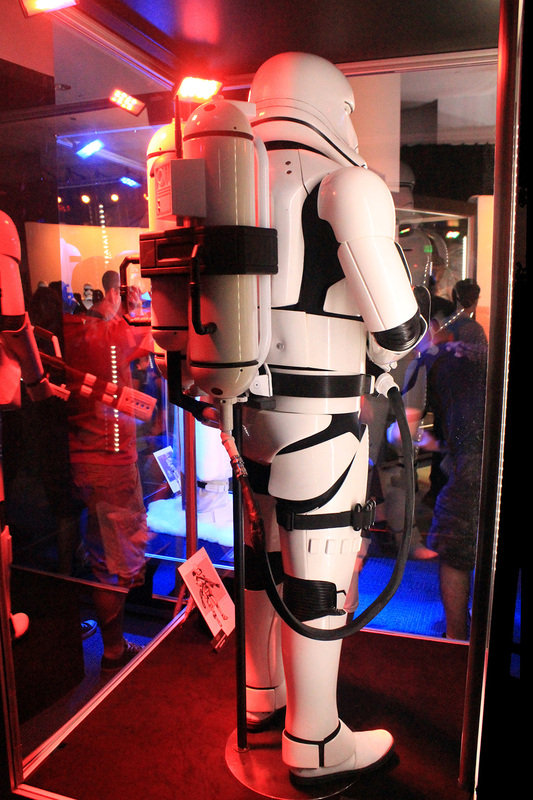 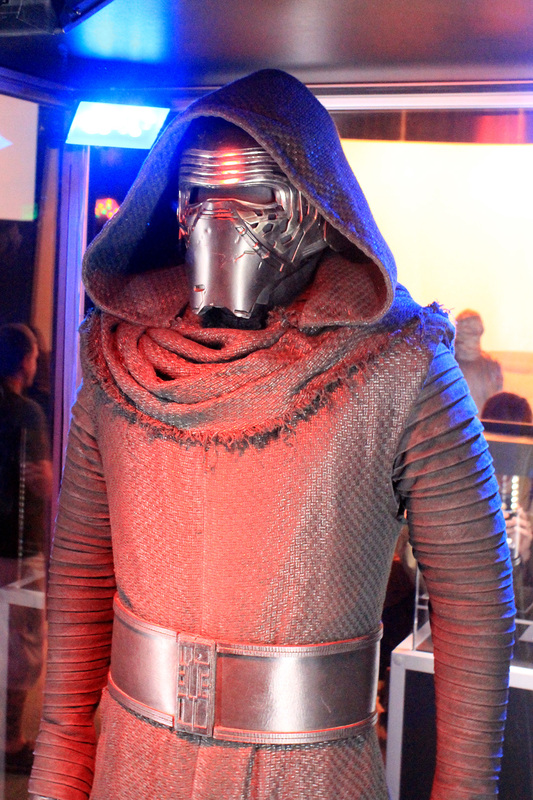 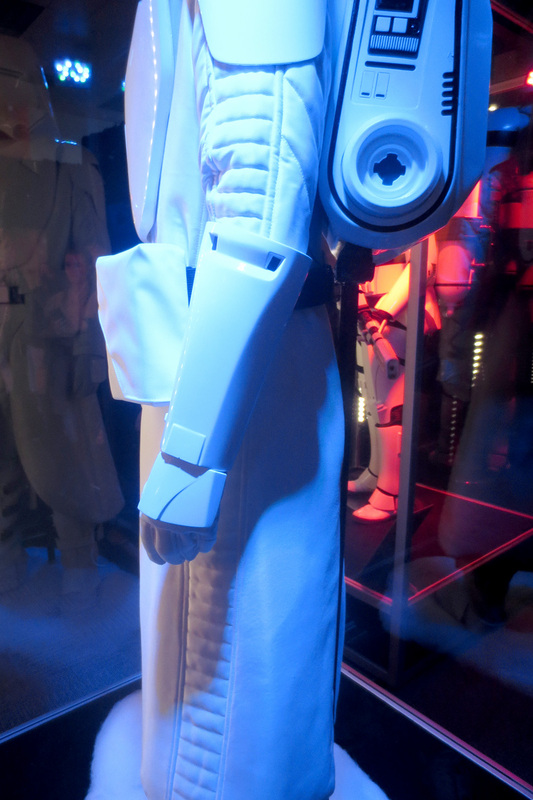 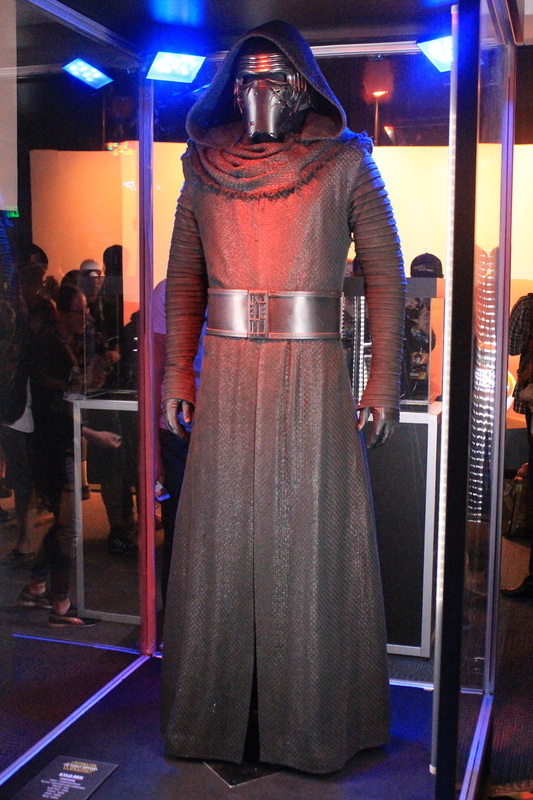 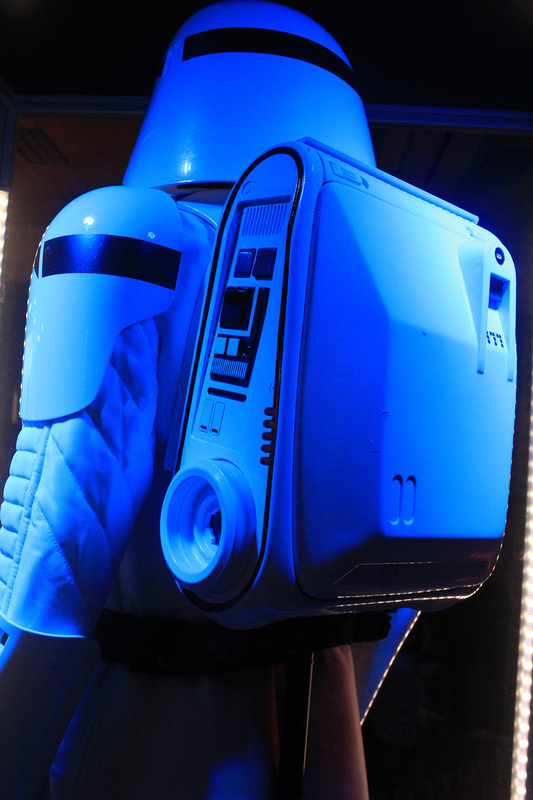 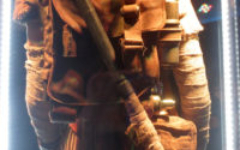 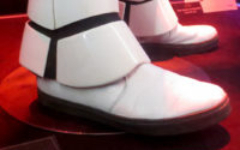 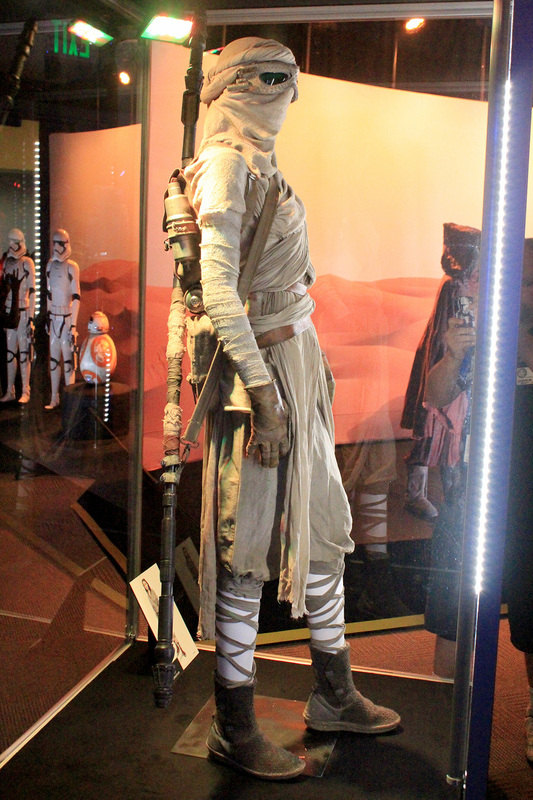 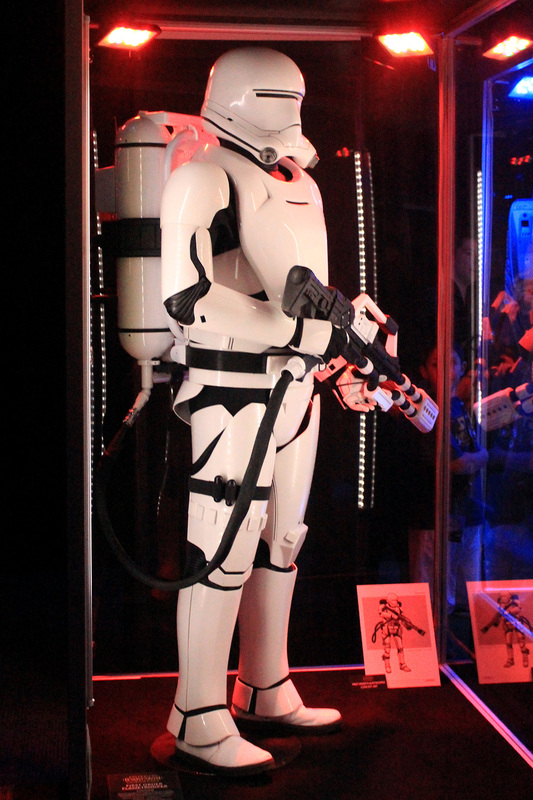 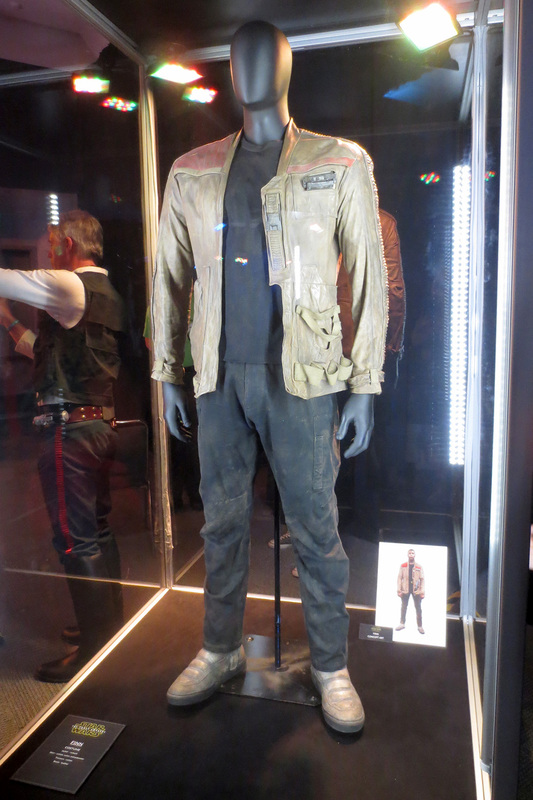 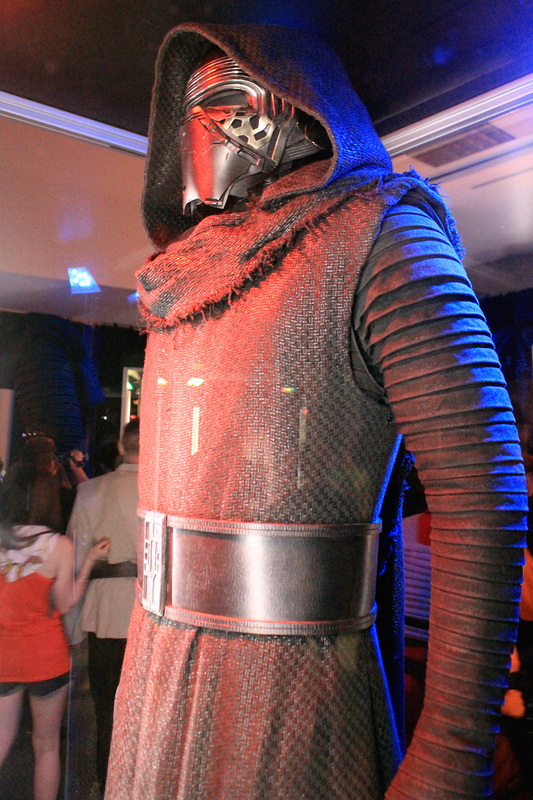 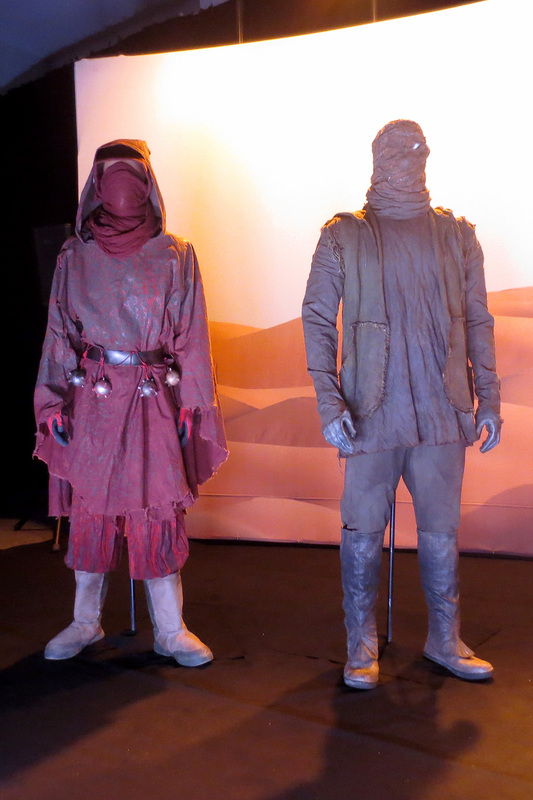 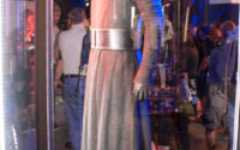 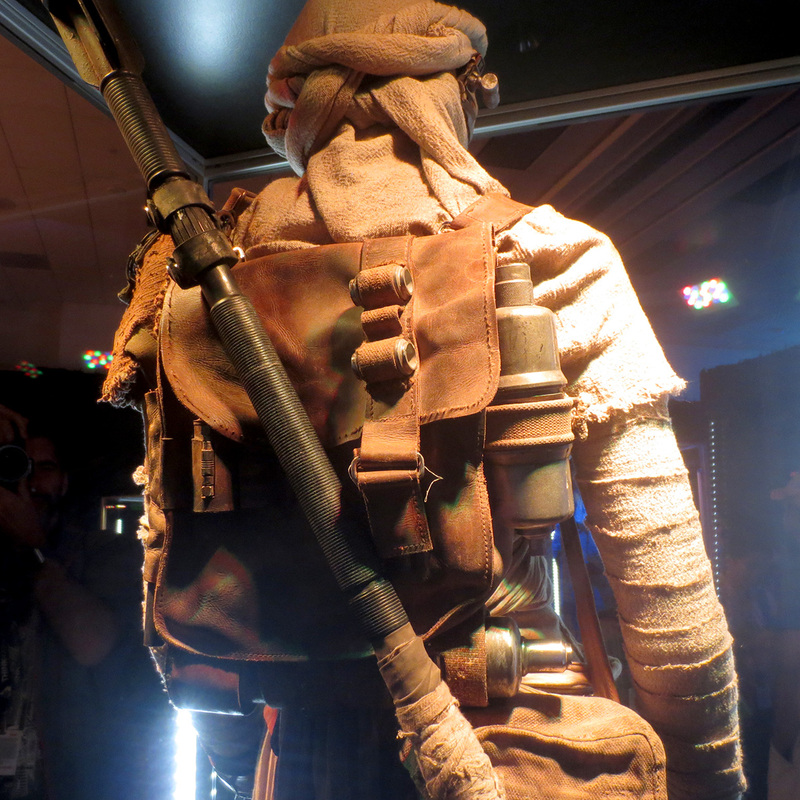 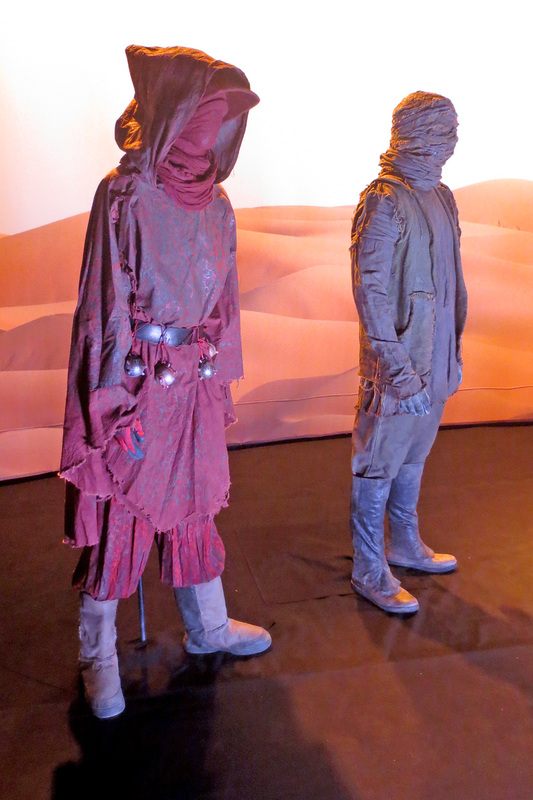 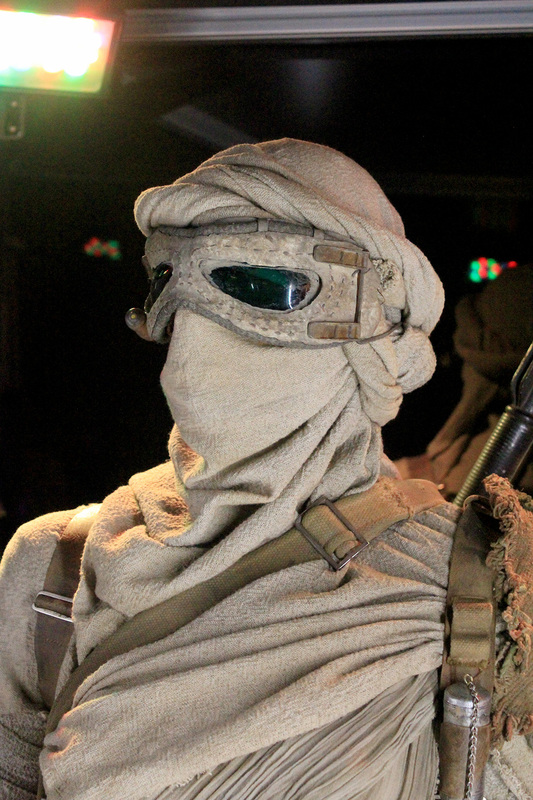 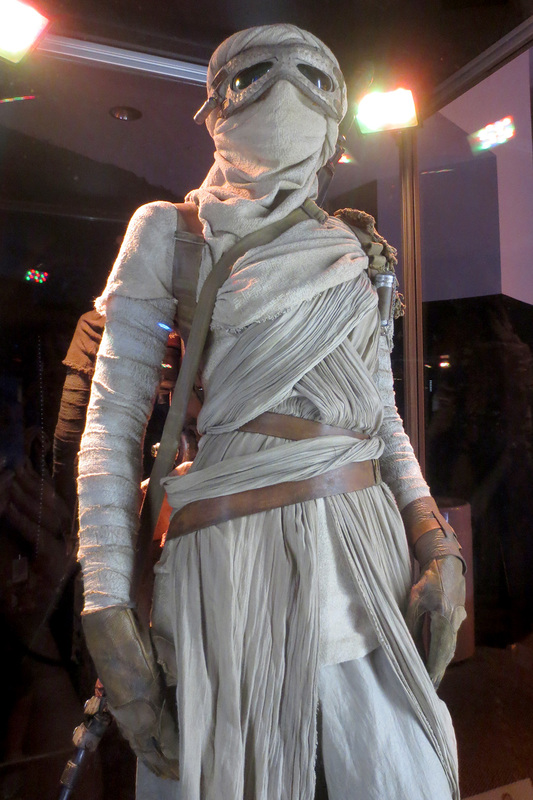 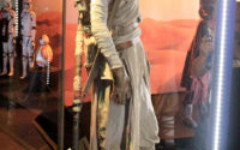 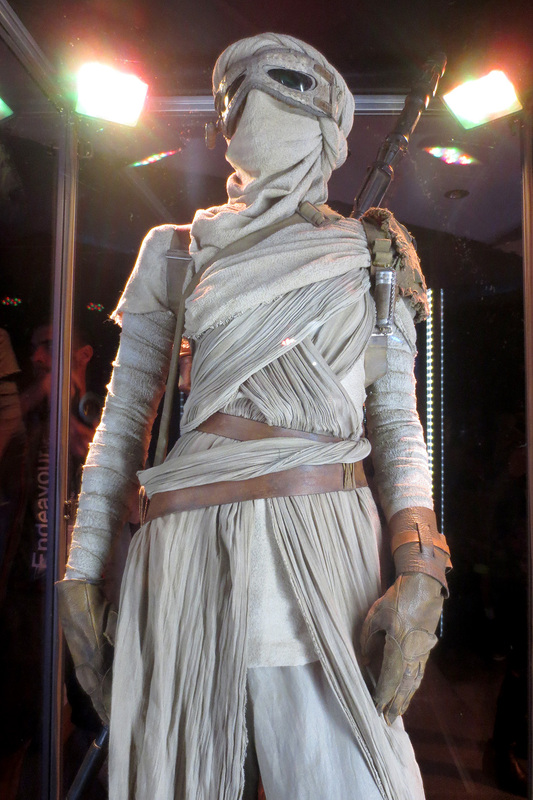 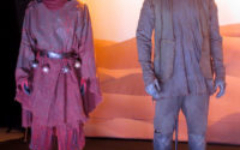 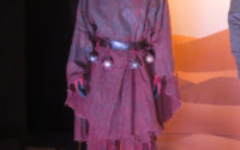 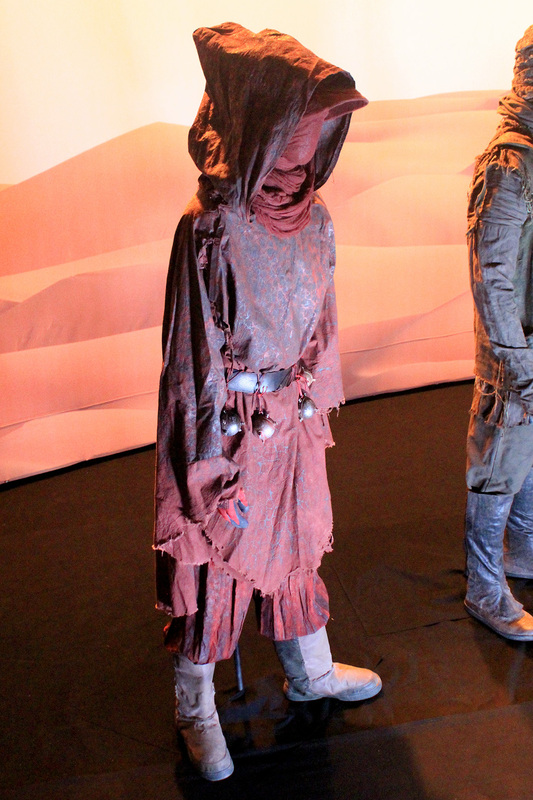 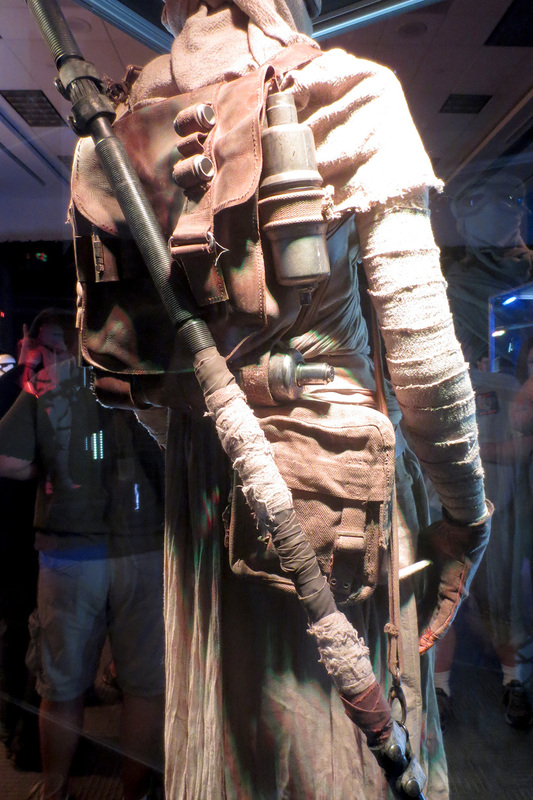 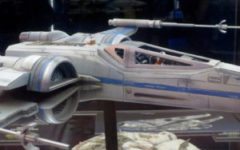 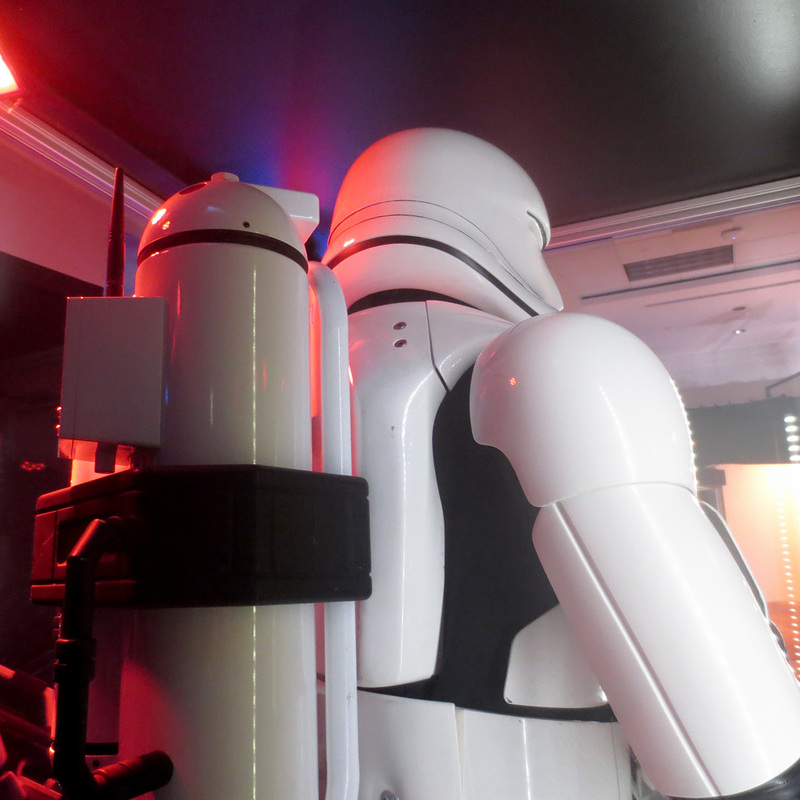 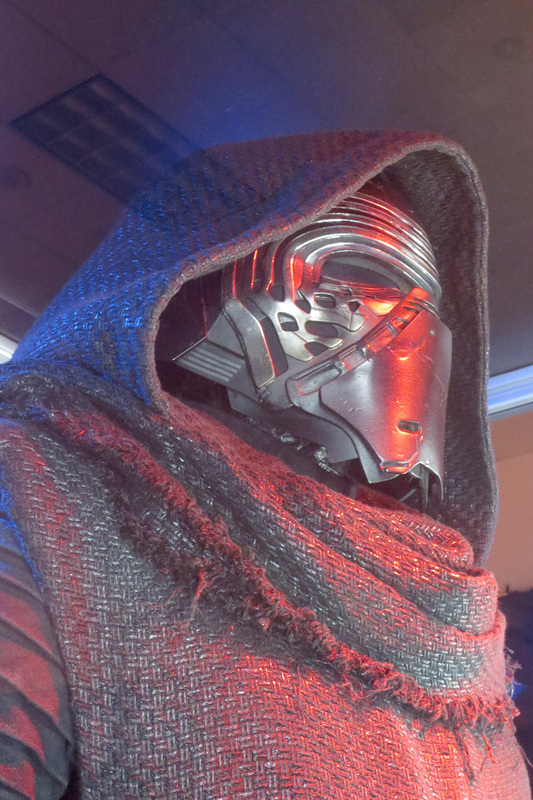 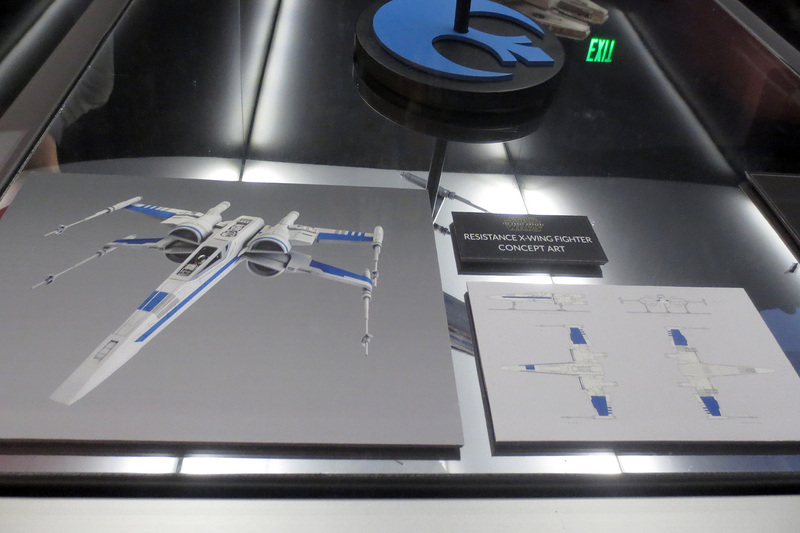 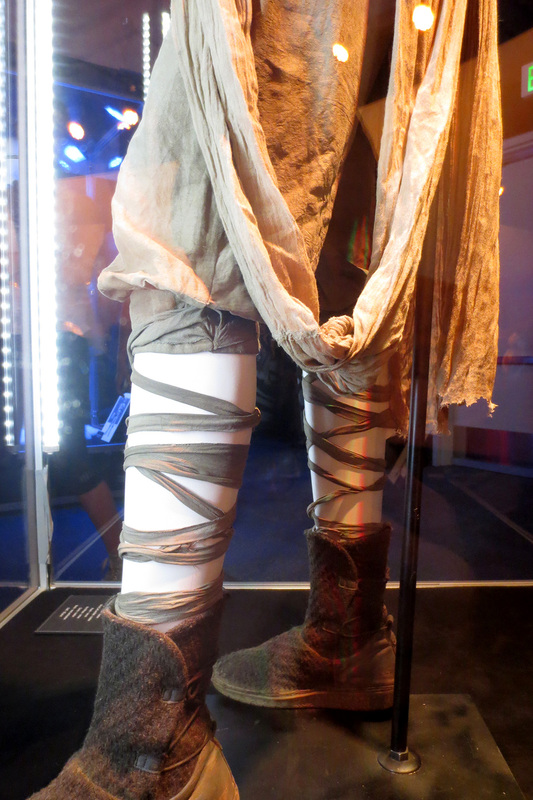 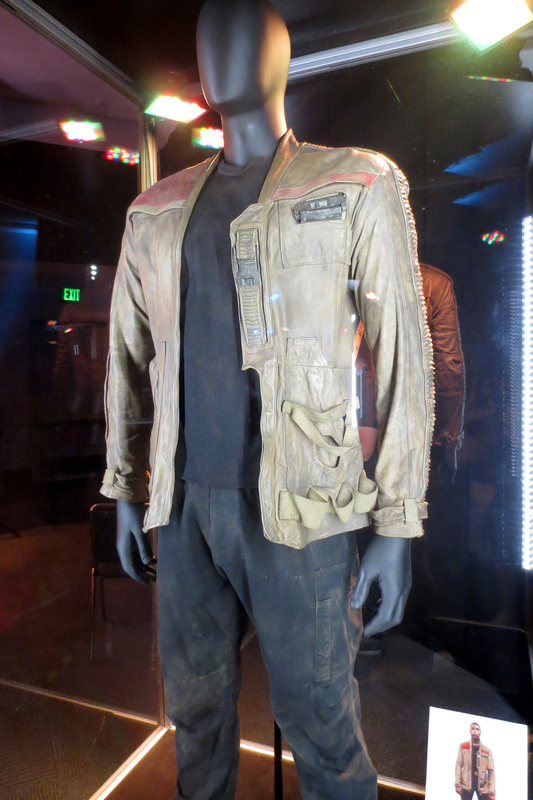 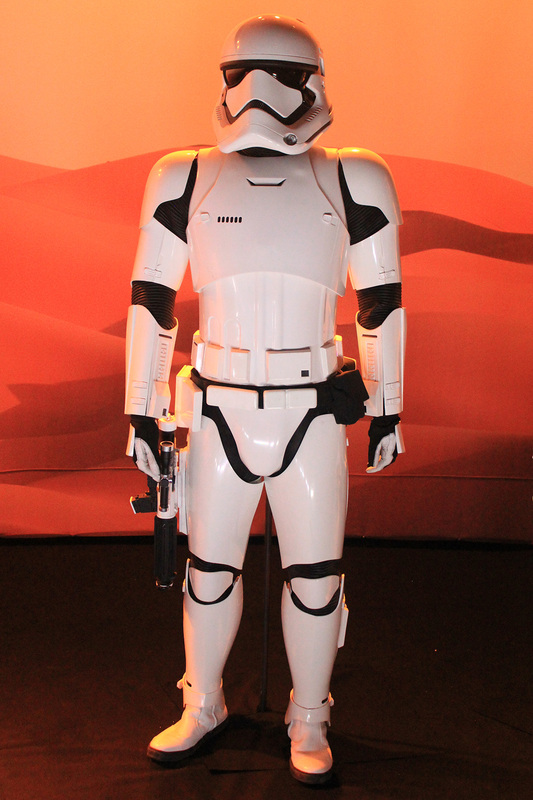 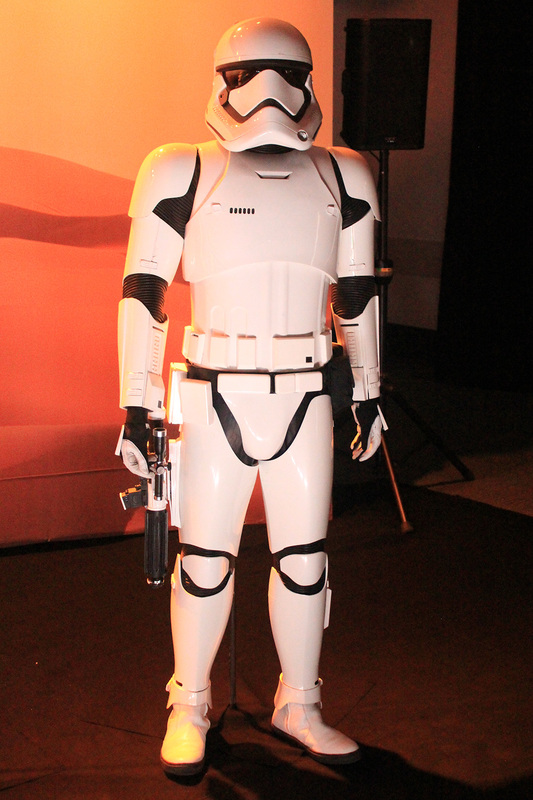 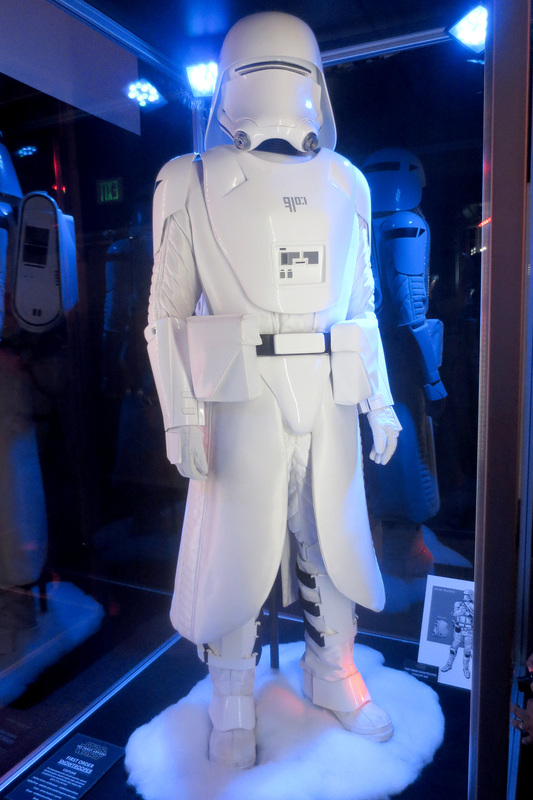 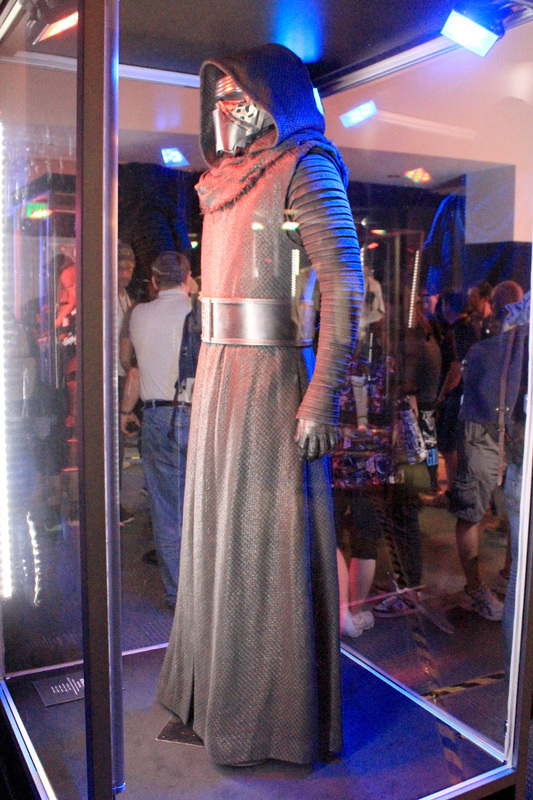 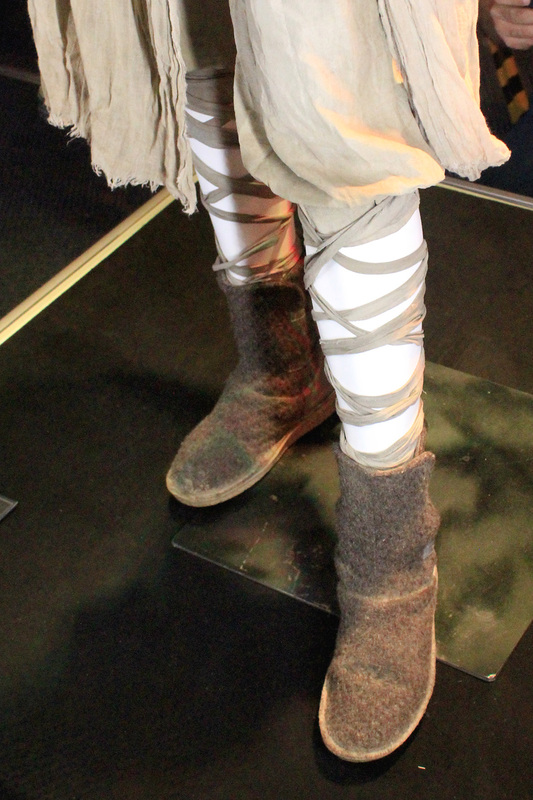 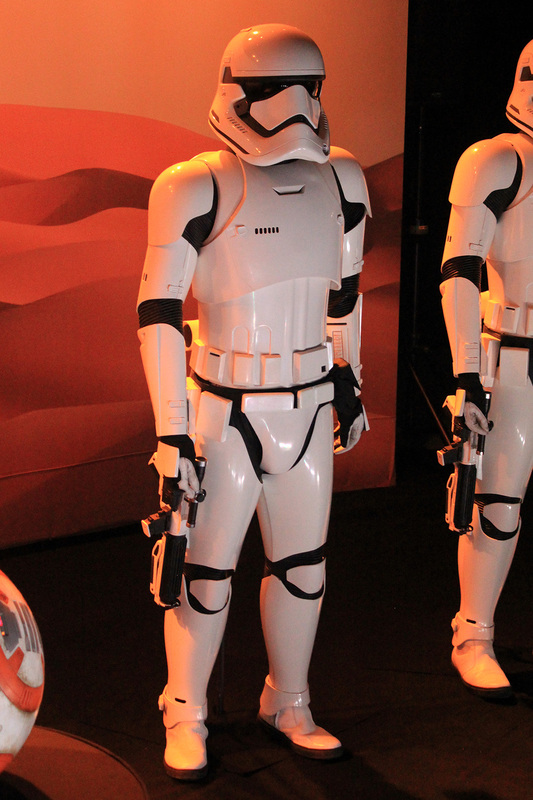 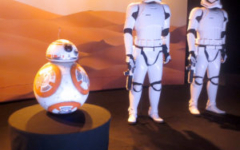 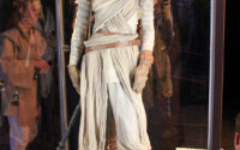 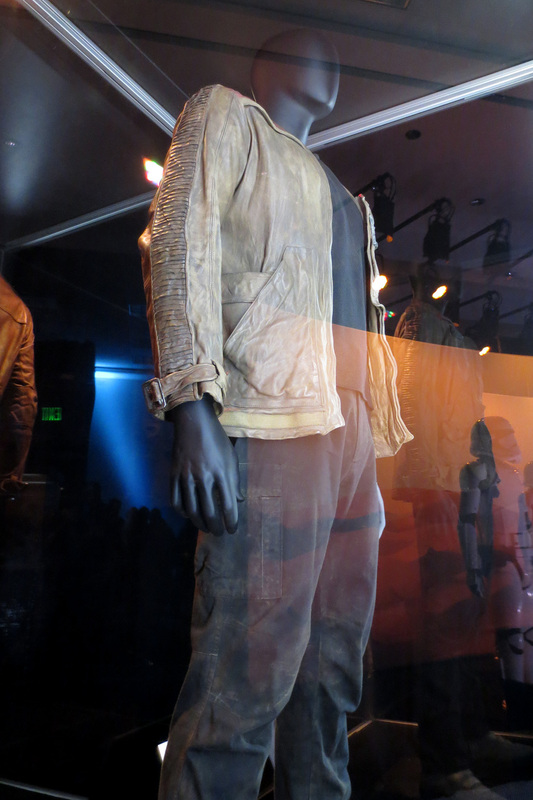 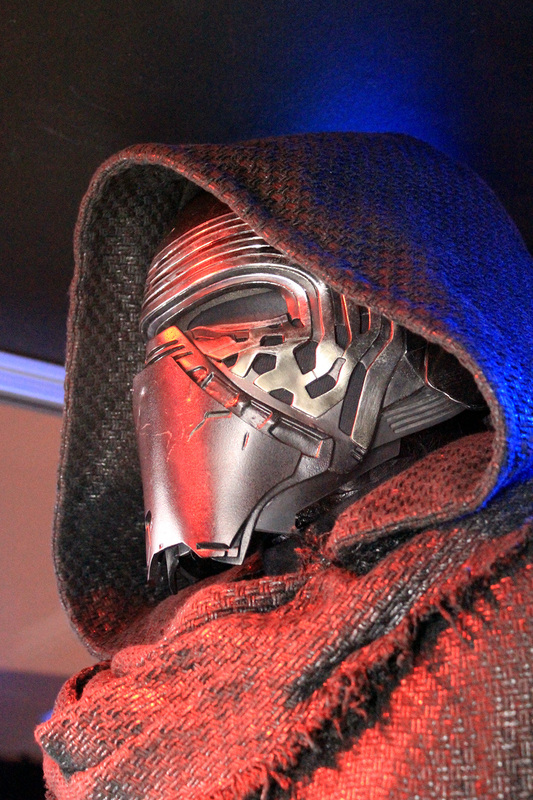 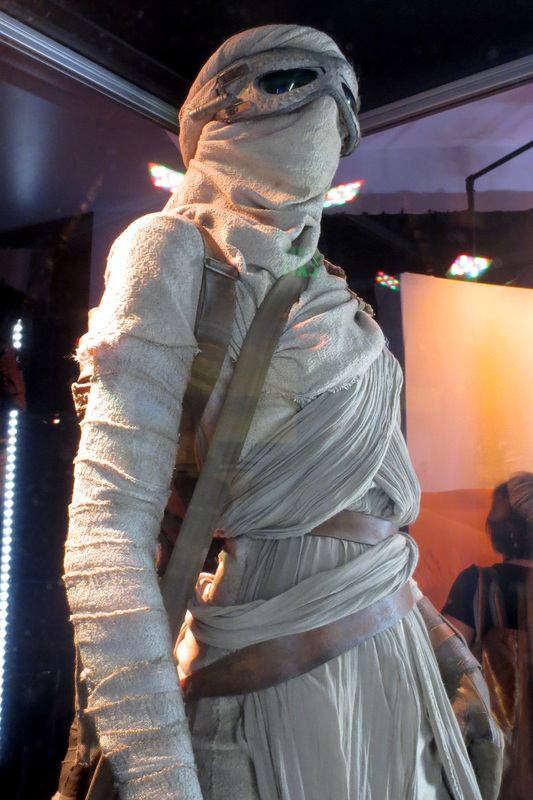 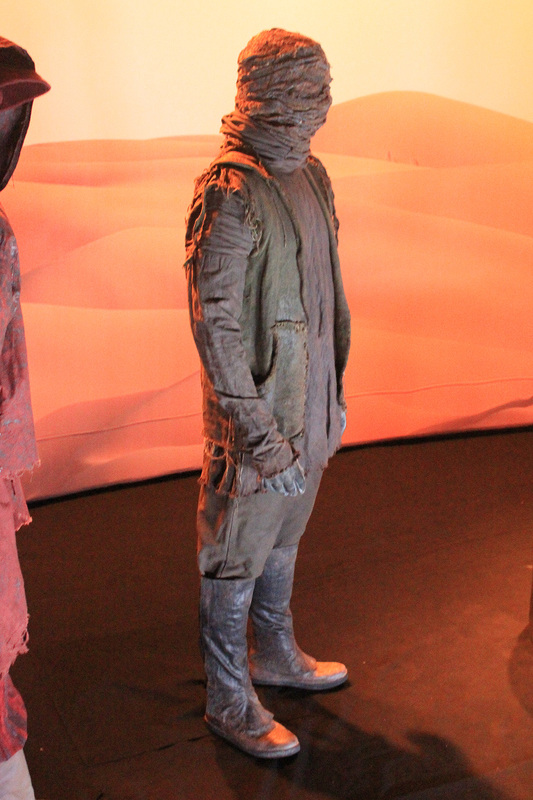 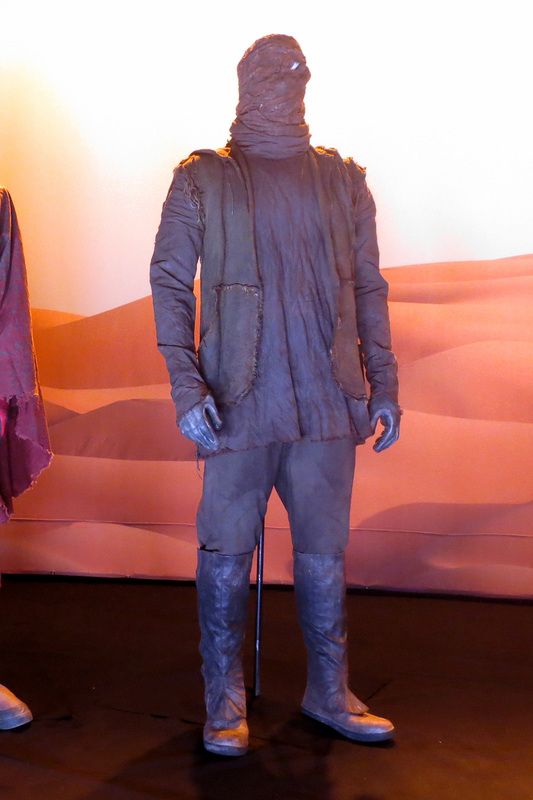 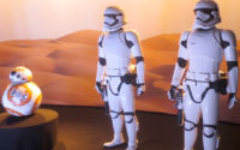 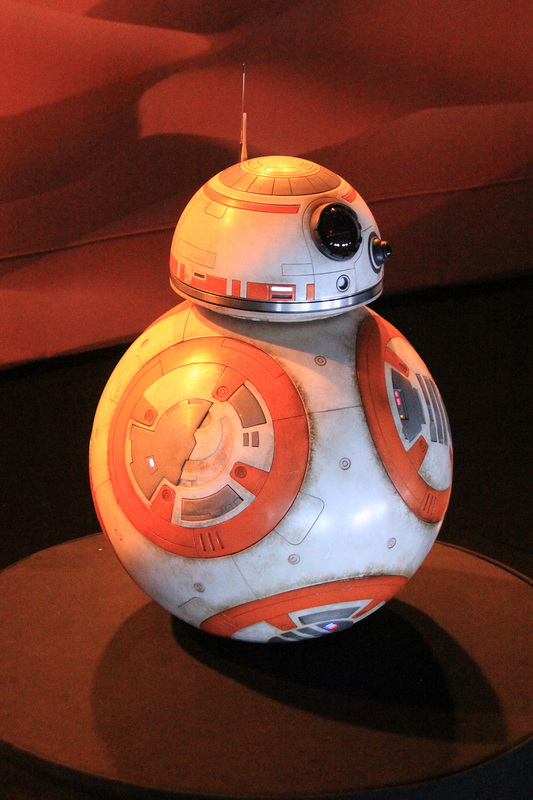 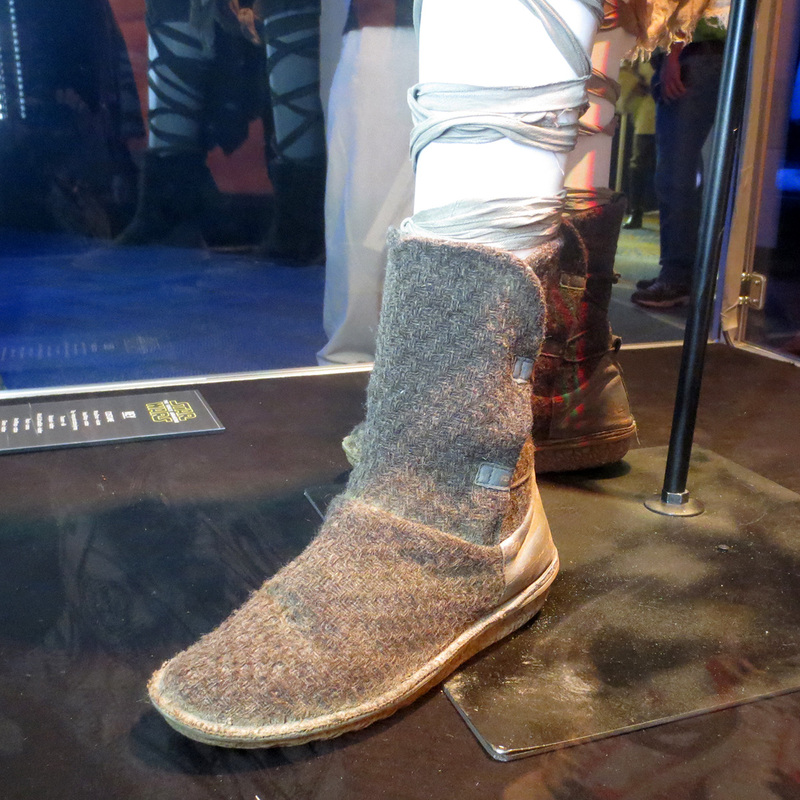 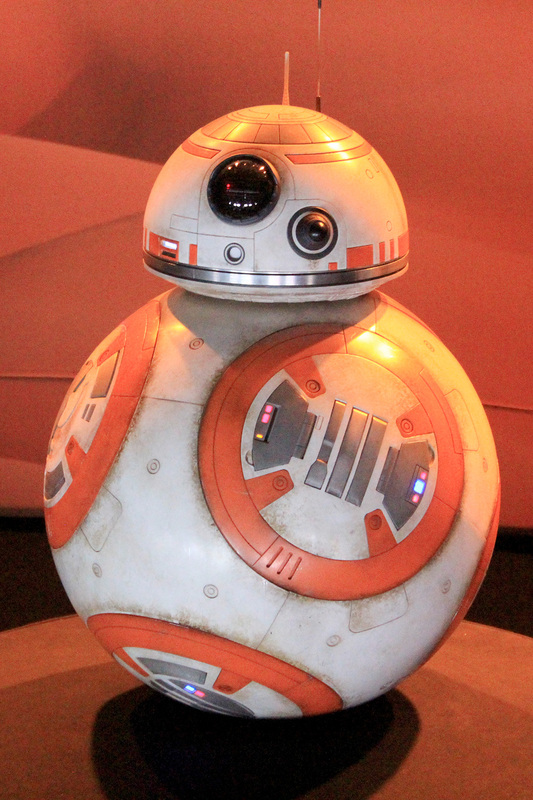 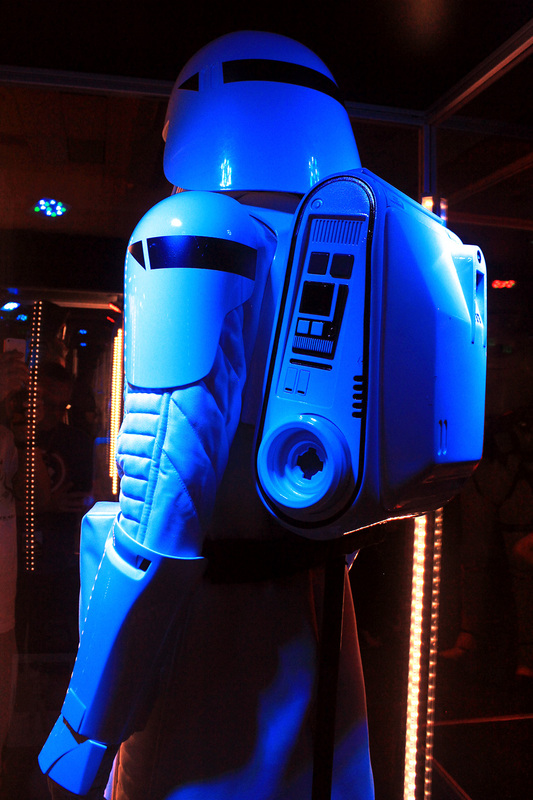 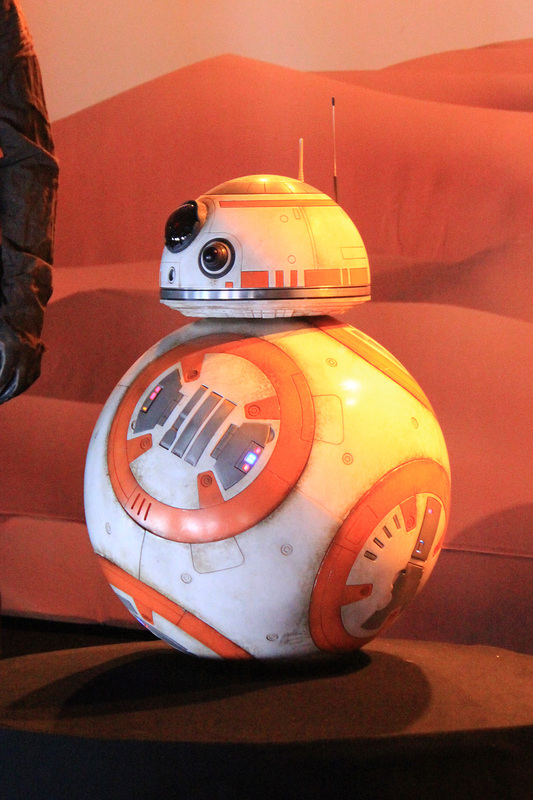 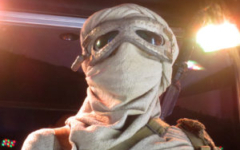 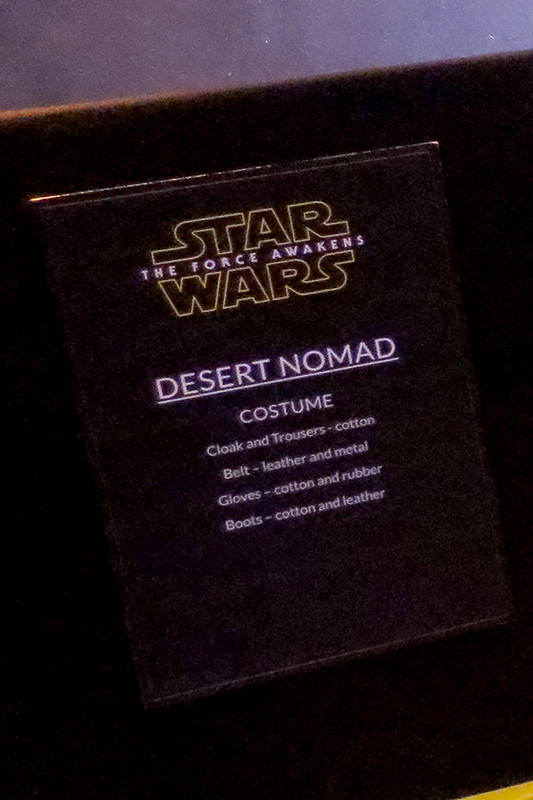 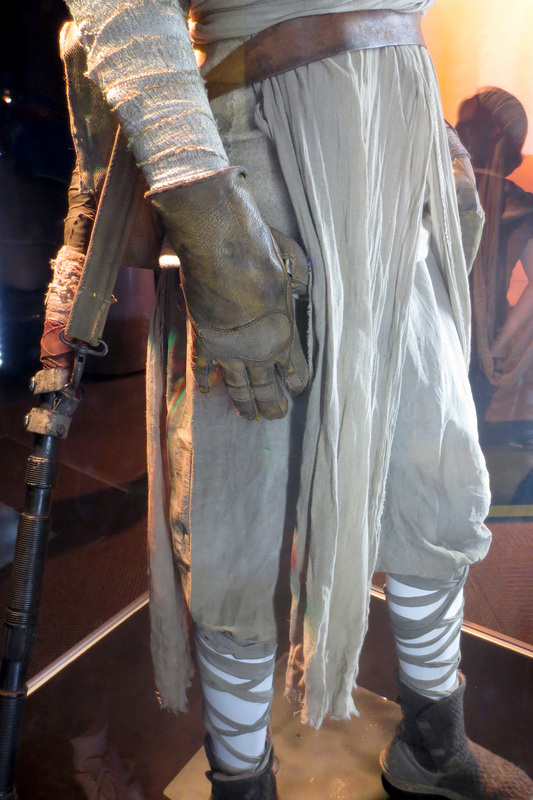 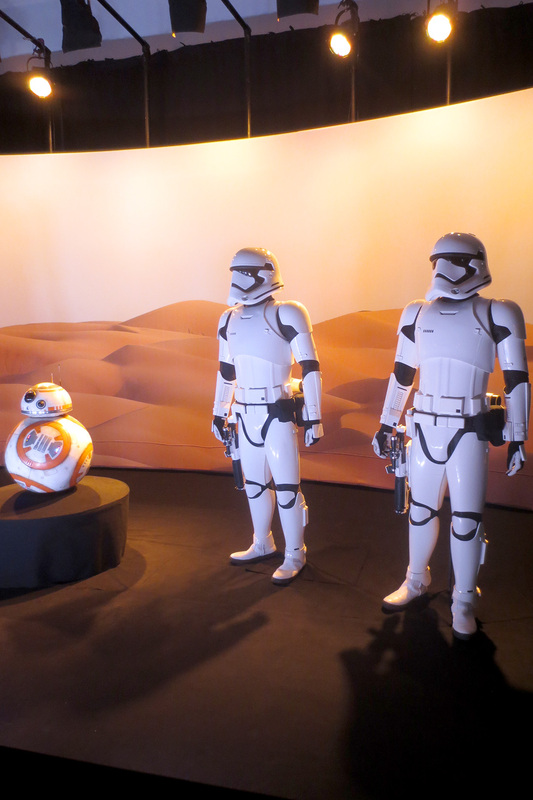 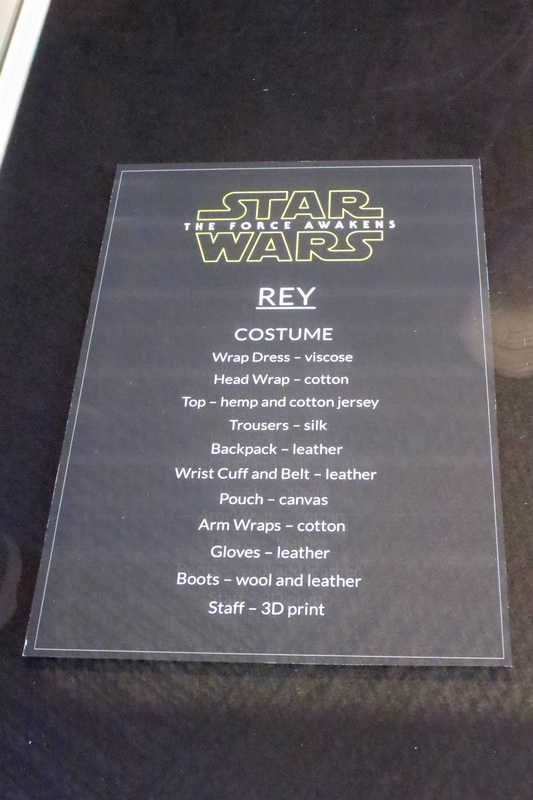 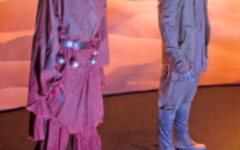 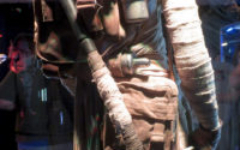 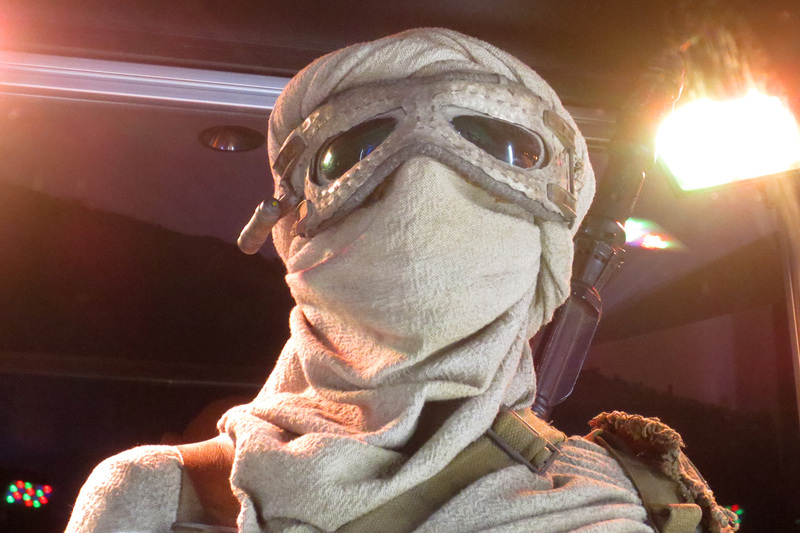 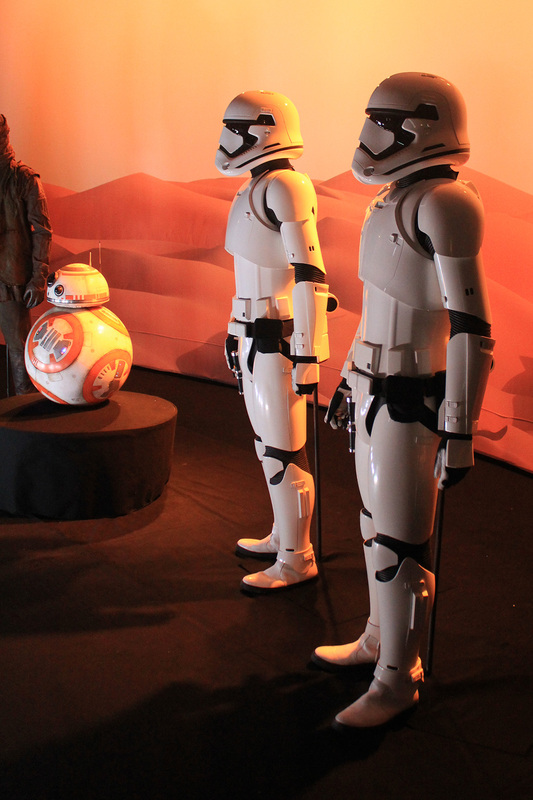 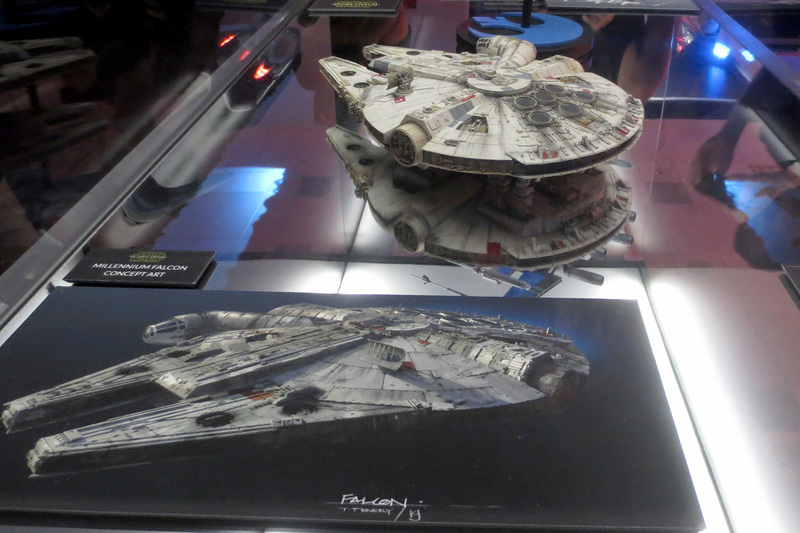 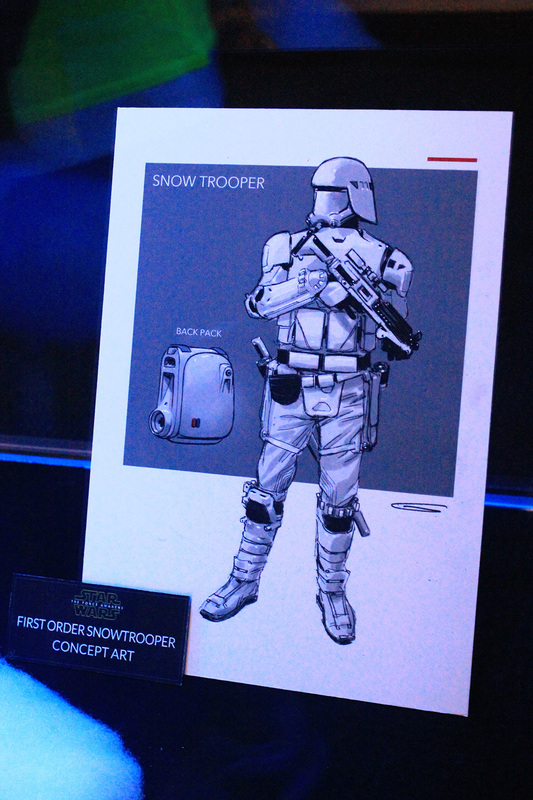 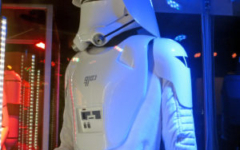 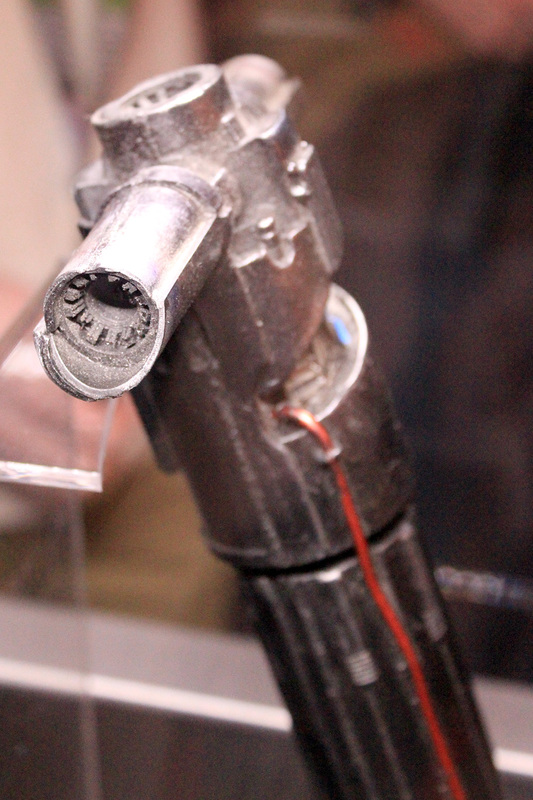 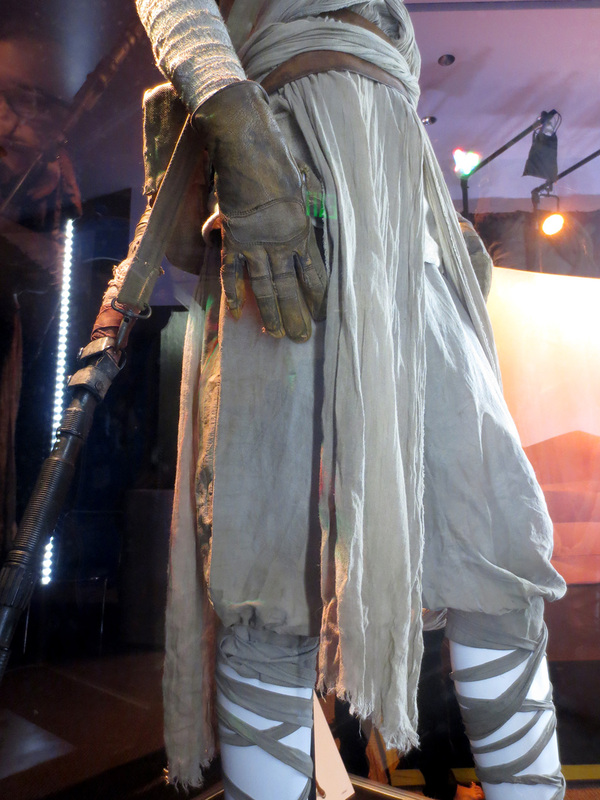 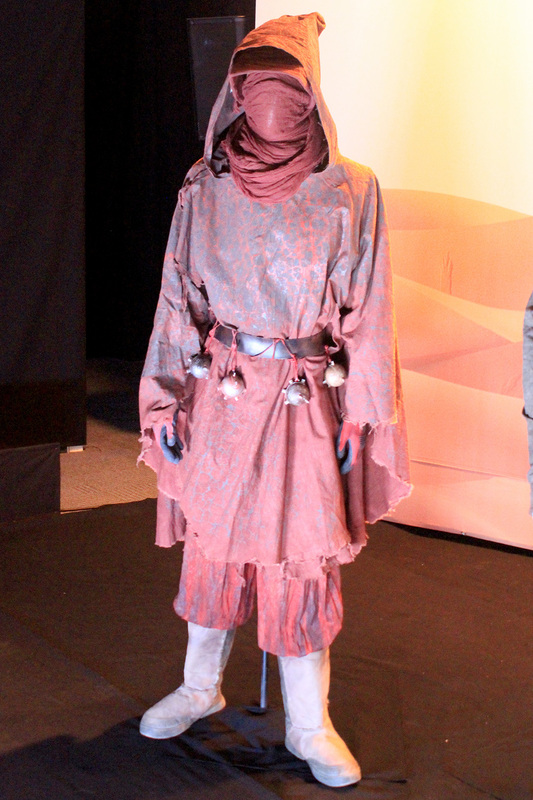 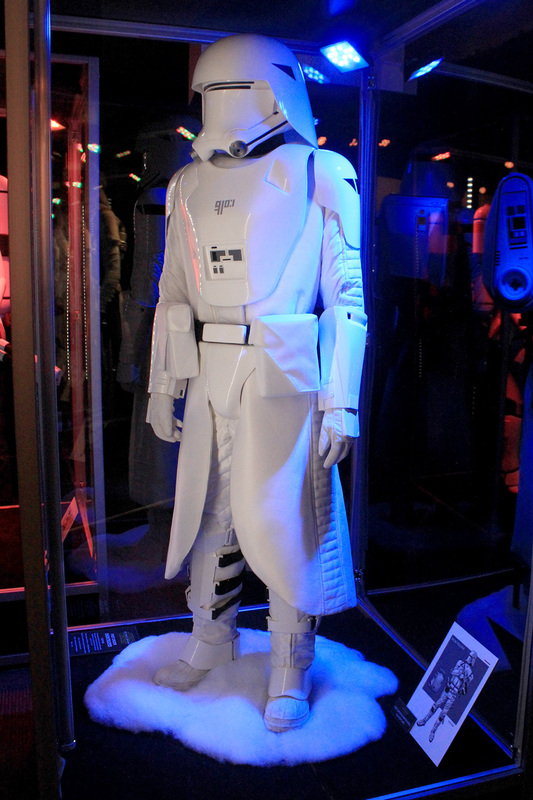 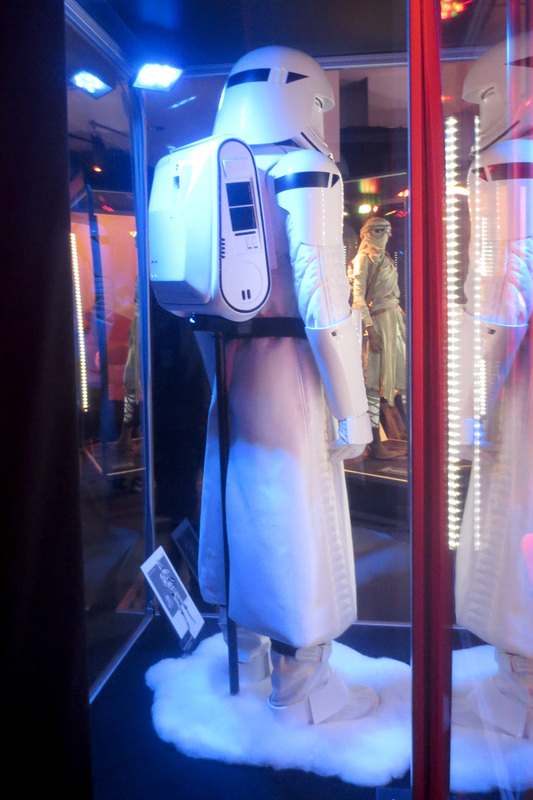 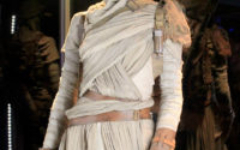 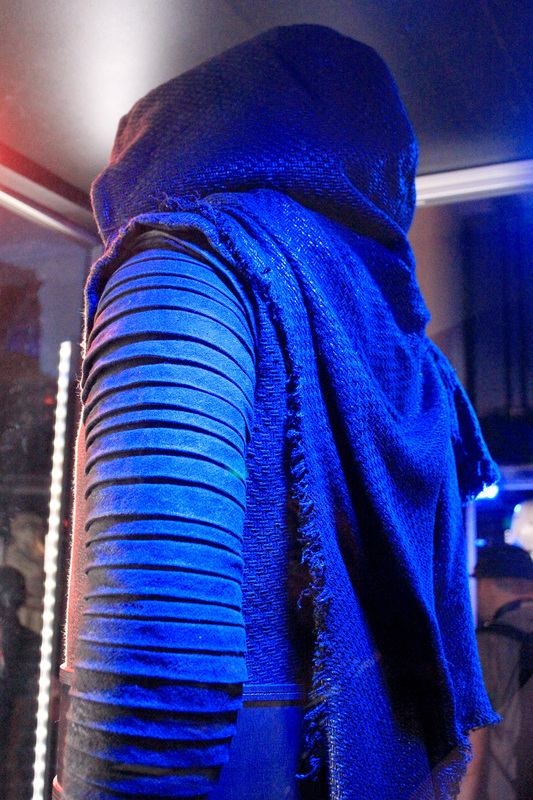 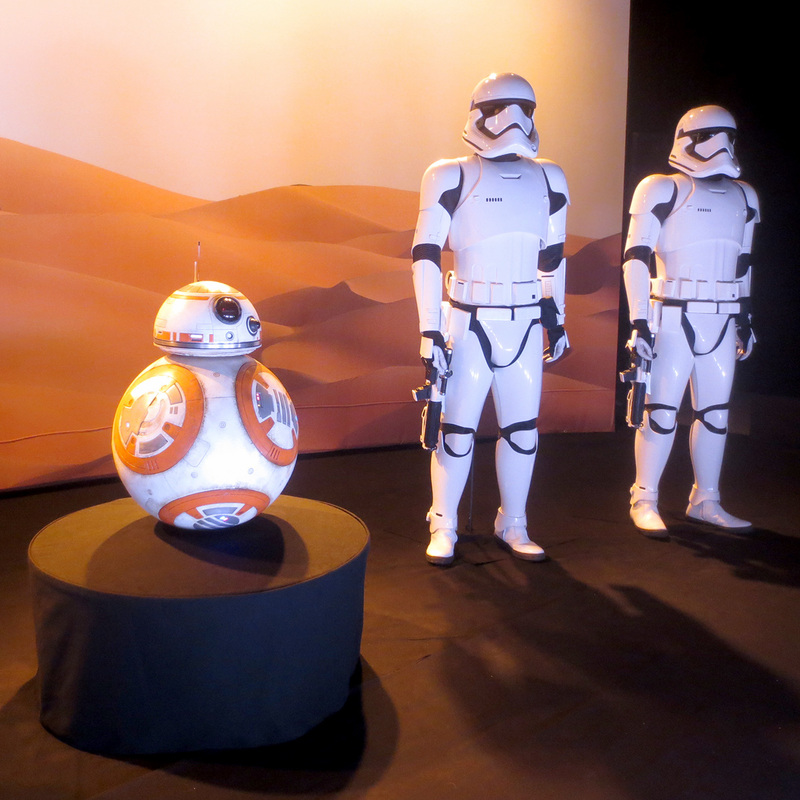 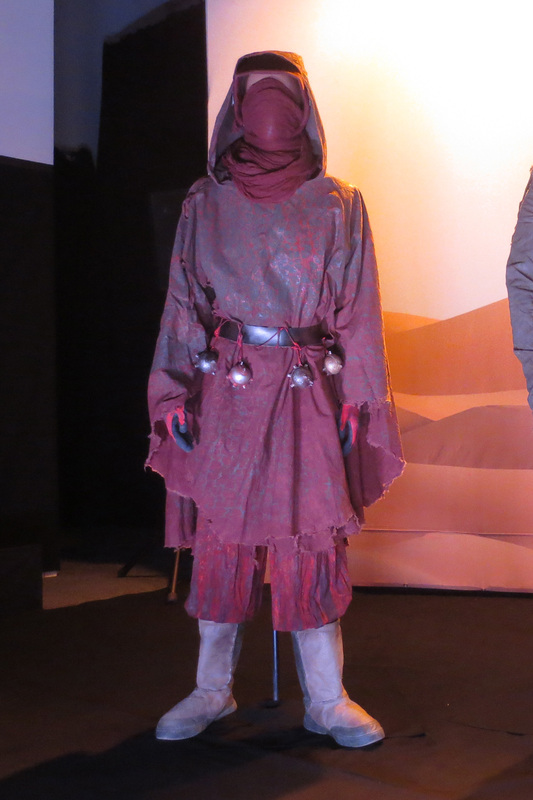 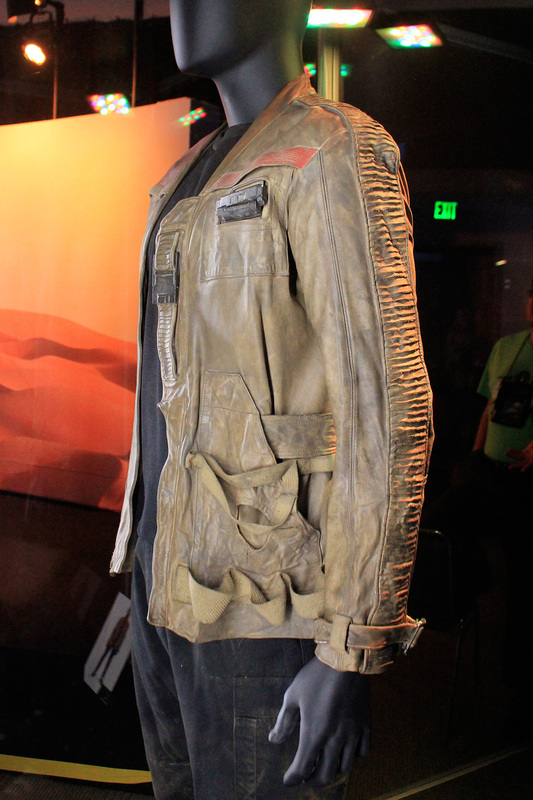 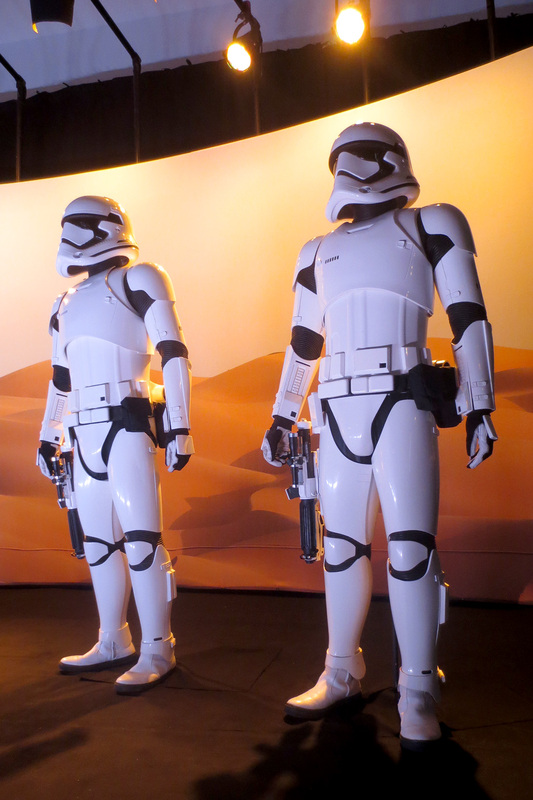 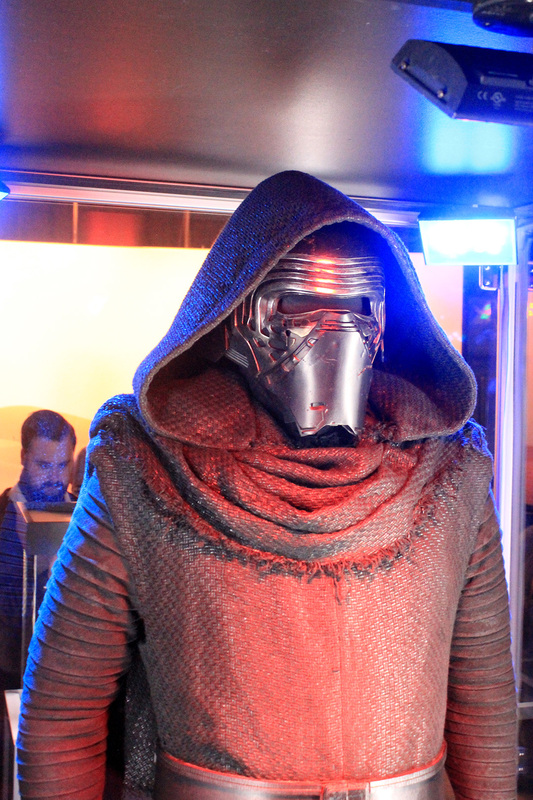 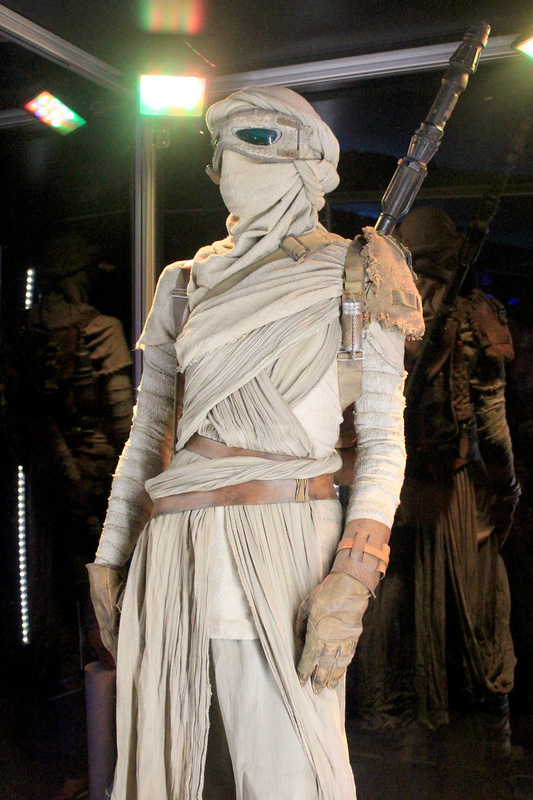 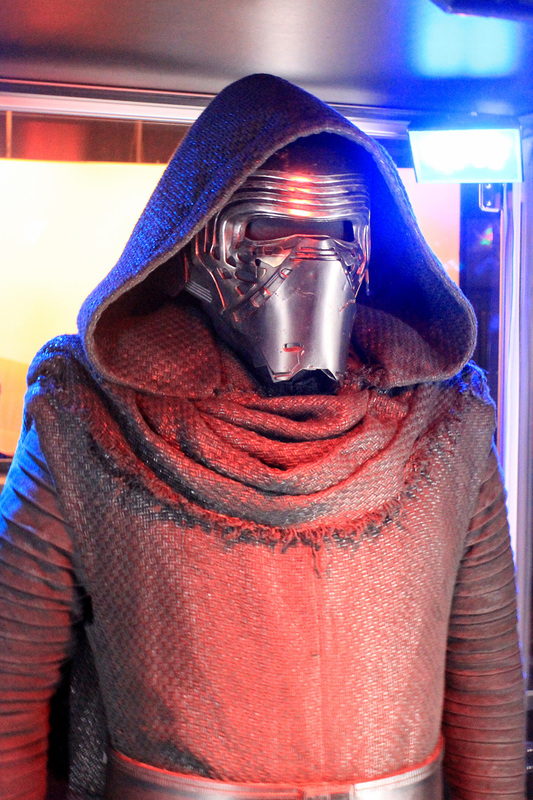 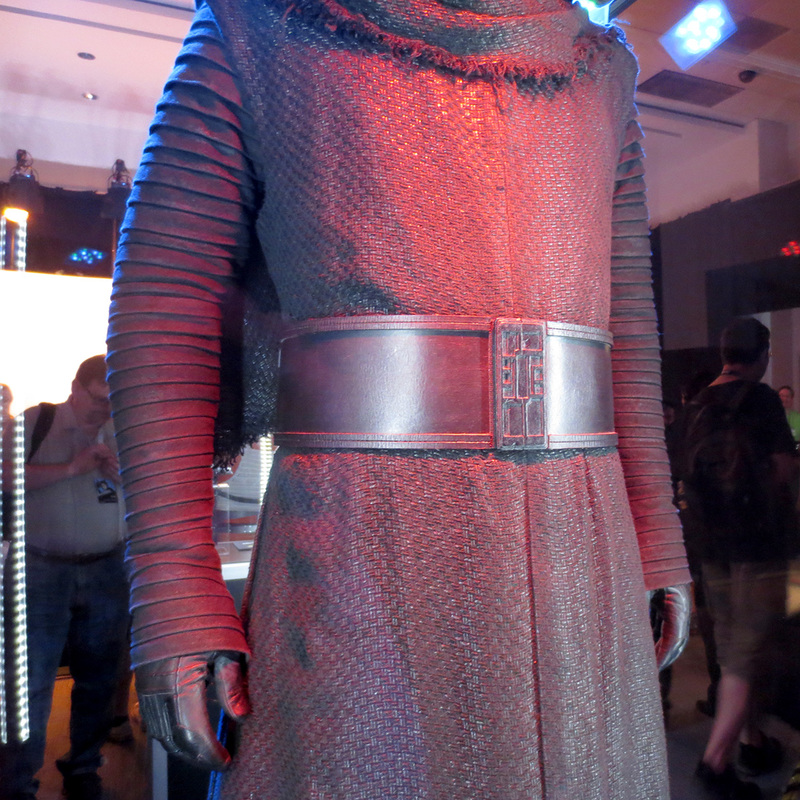 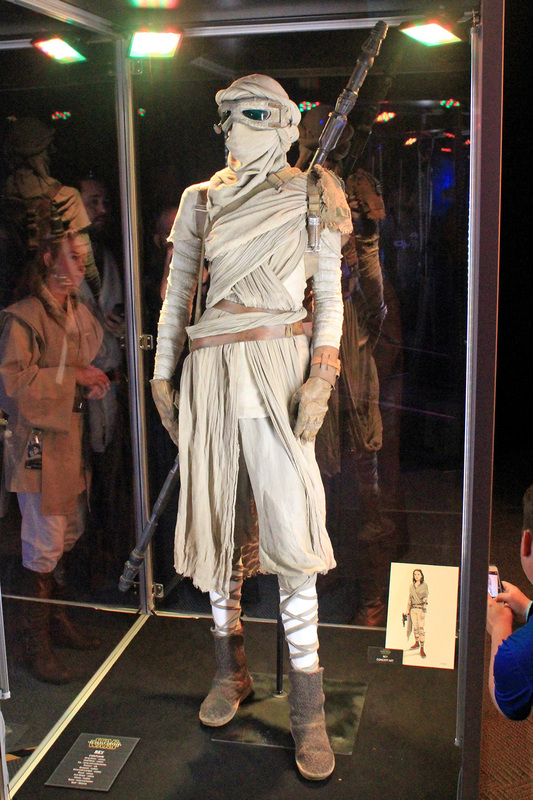 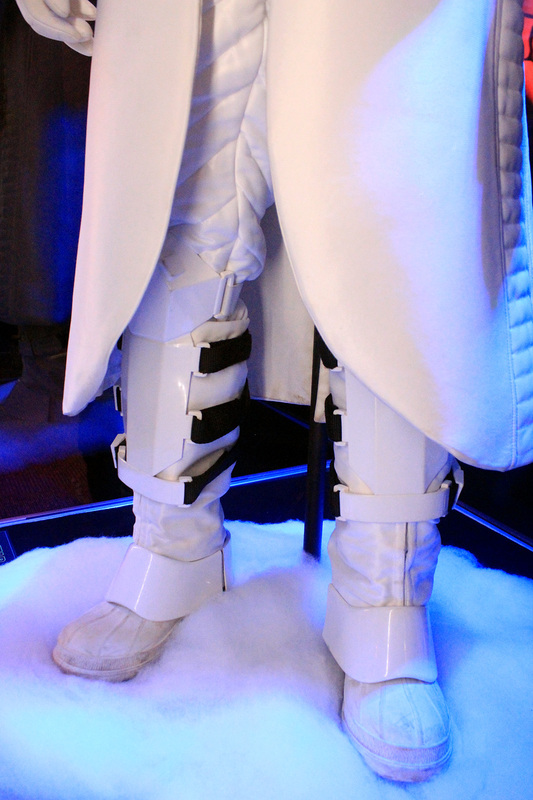 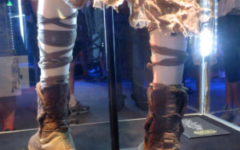 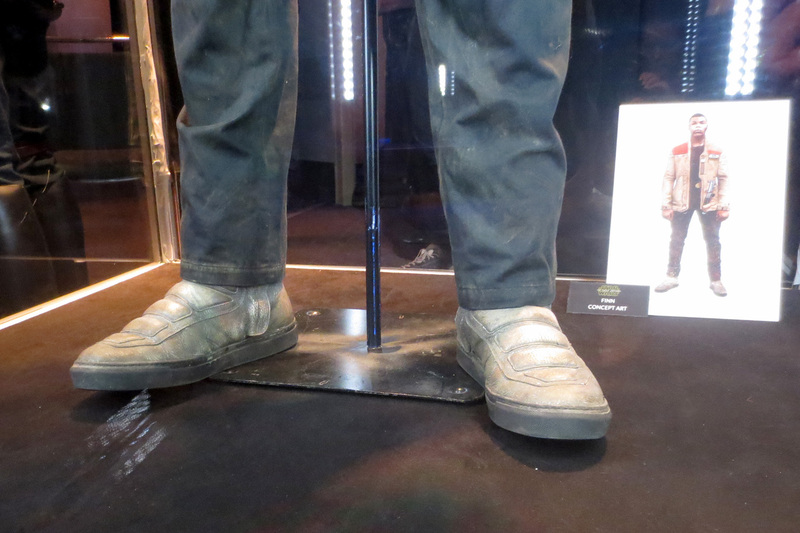 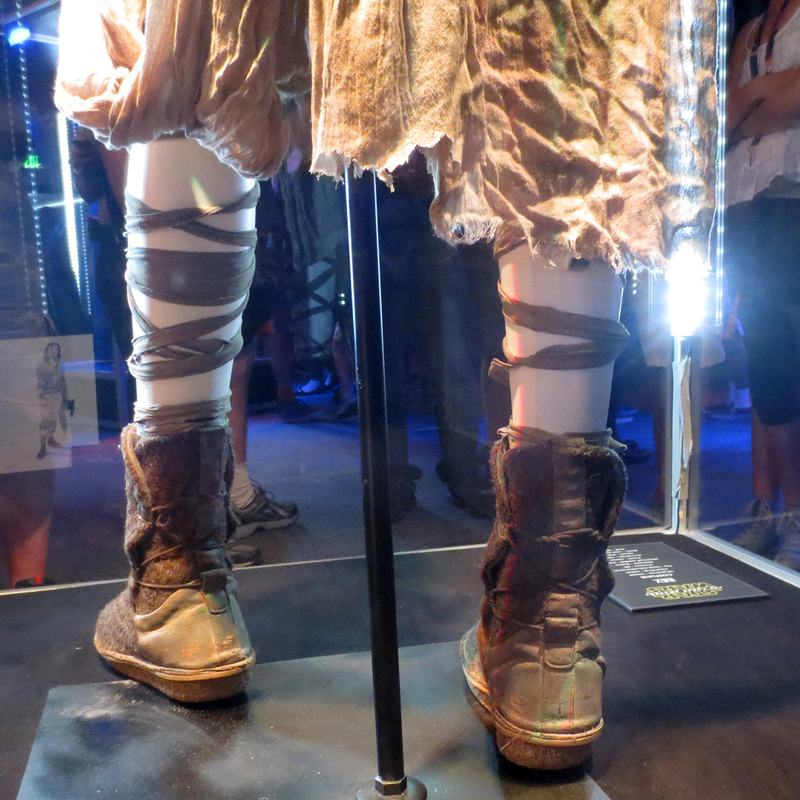 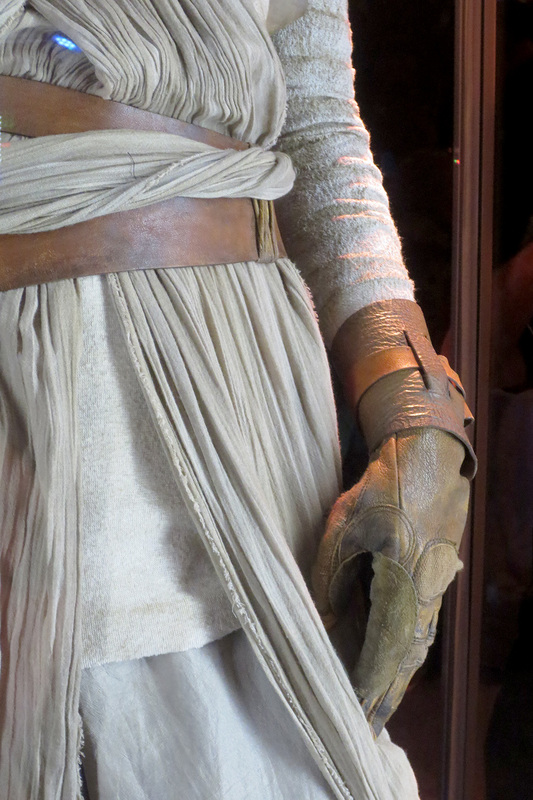 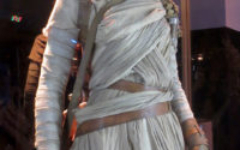 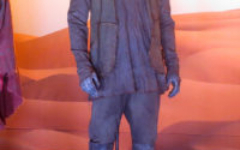 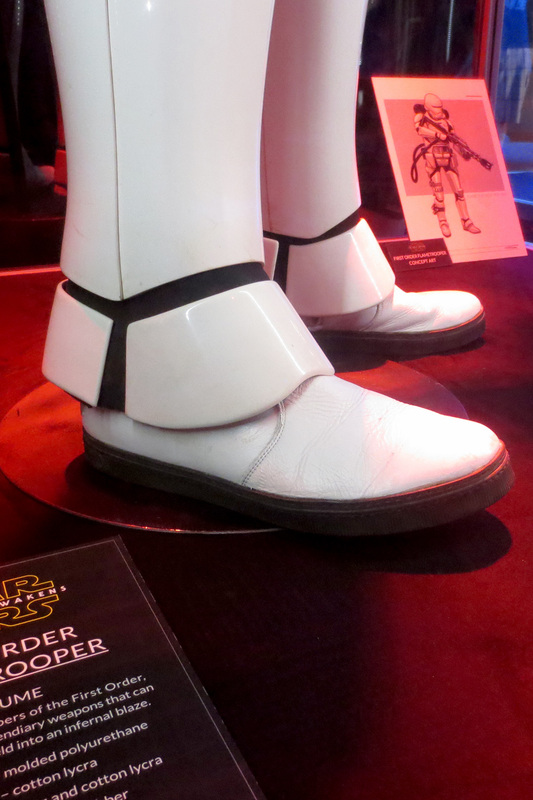 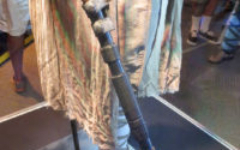 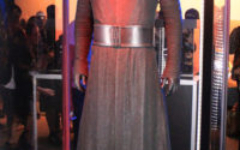 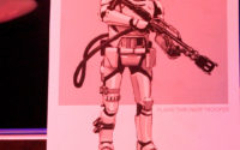 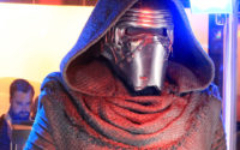 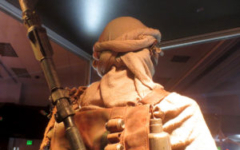 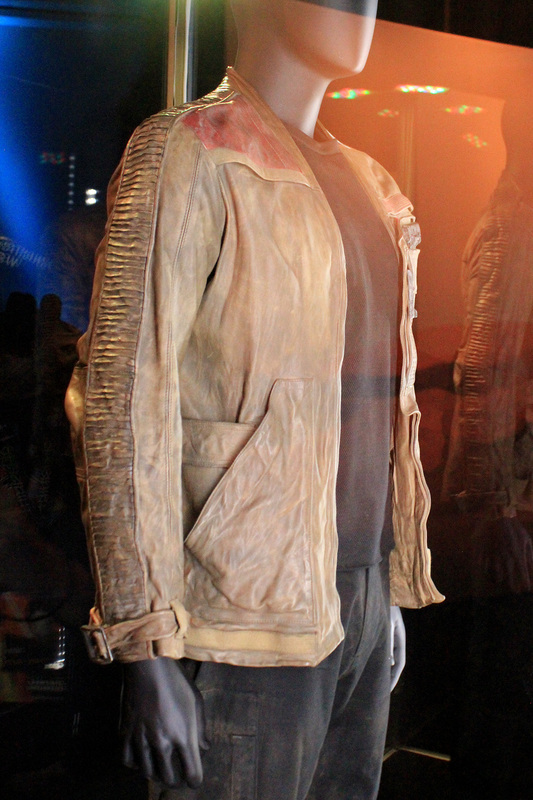 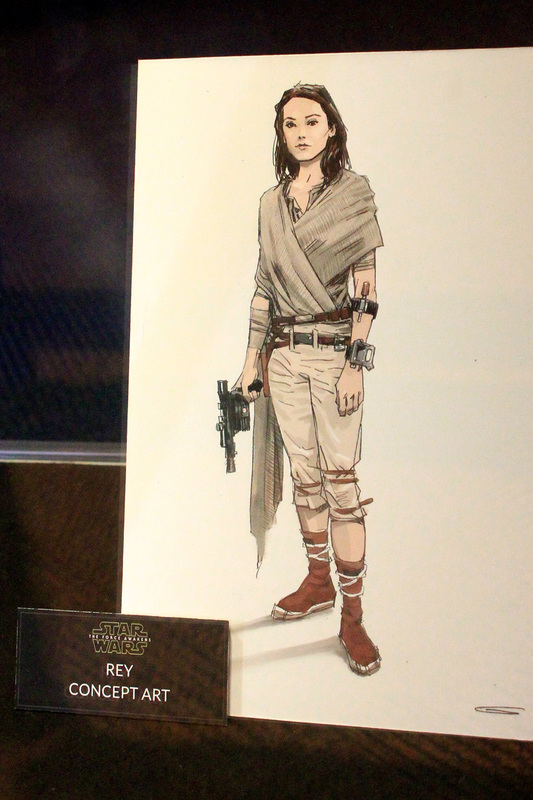 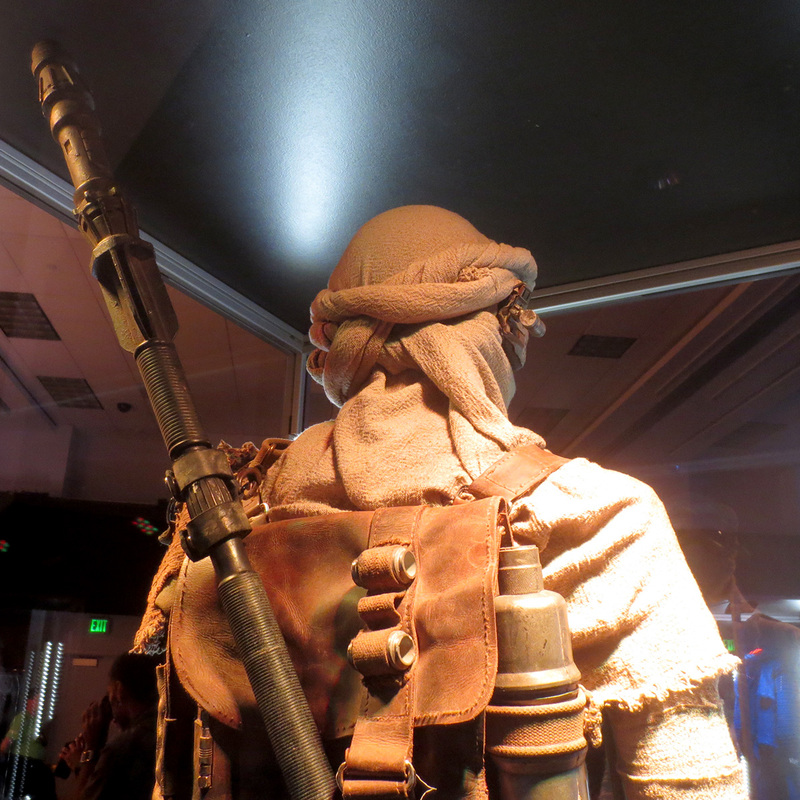 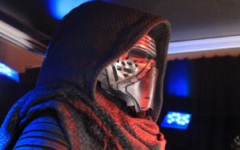 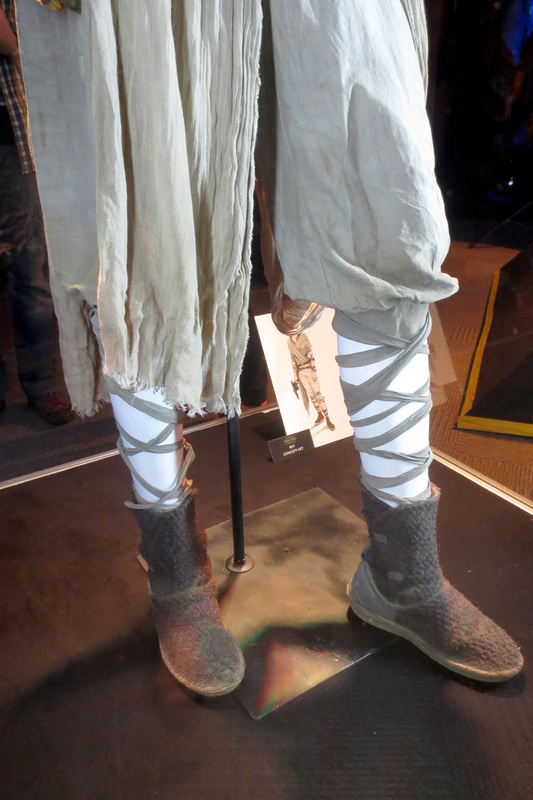 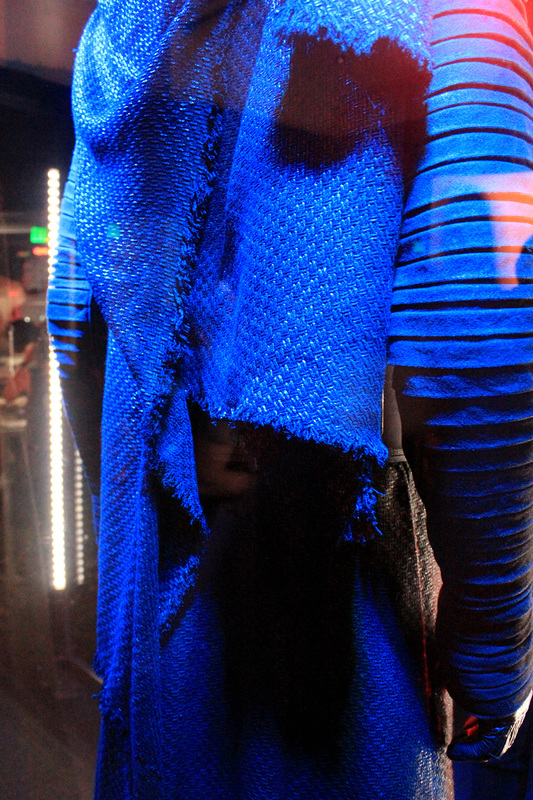 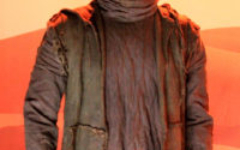 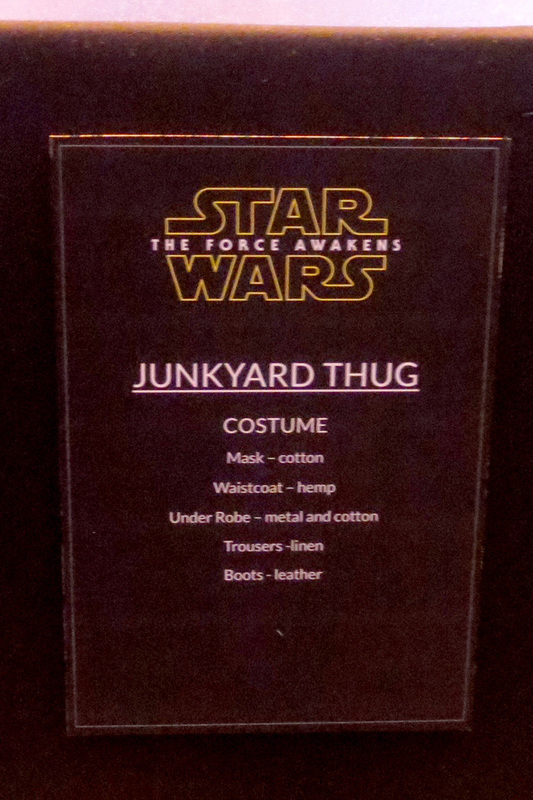 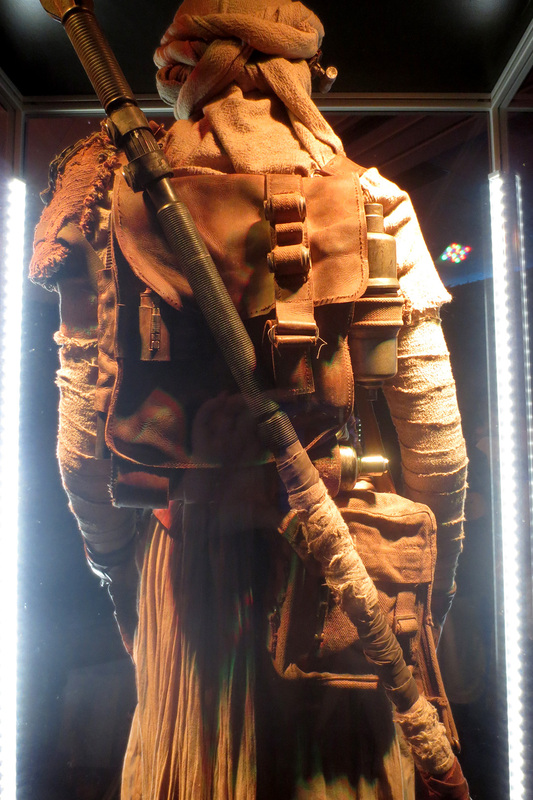 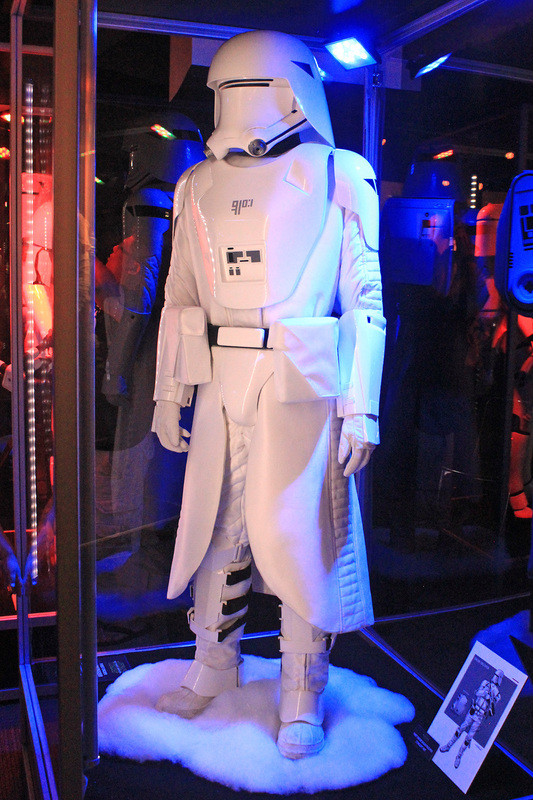 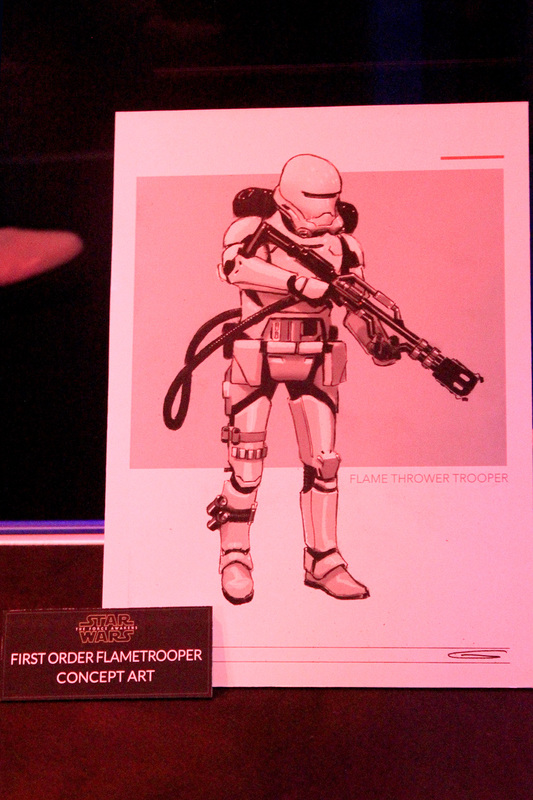 Star Wars The Force Awakens Costumes and Props Exhibit.